Samsung Galaxy S6 and S6 Edge are one of the best Android smartphones of 2015 and the best that Samsung have ever made. This article gives you the top 33 tips and tricks of S6 and S6 Edge. – As previous Samsung phones, there are two different ways of taking screenshots. 1. Hold down (power button + home button) at the same time. 2. 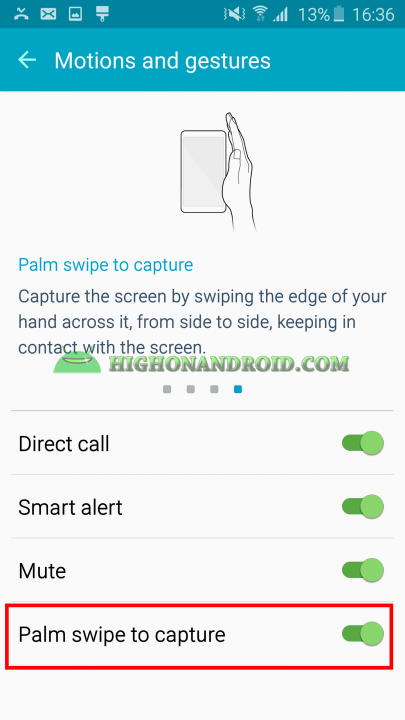 Swipe the edge of your hand across the screen from side-to-side to take screenshots. 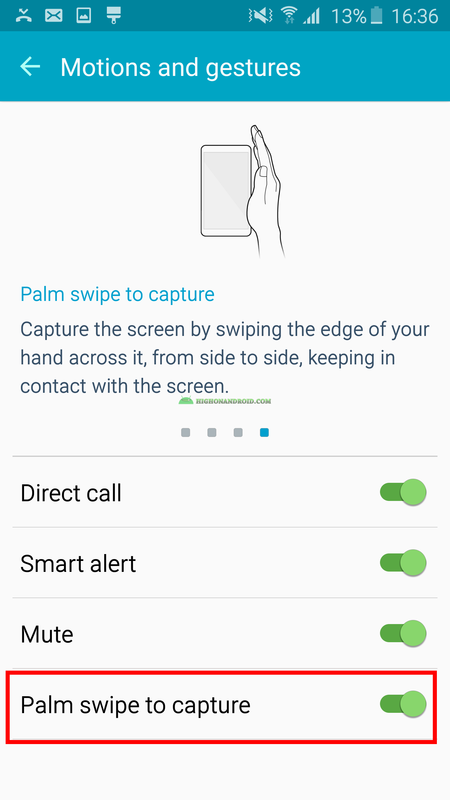 Settings > Motions and gestures > Palm swipe to capture. 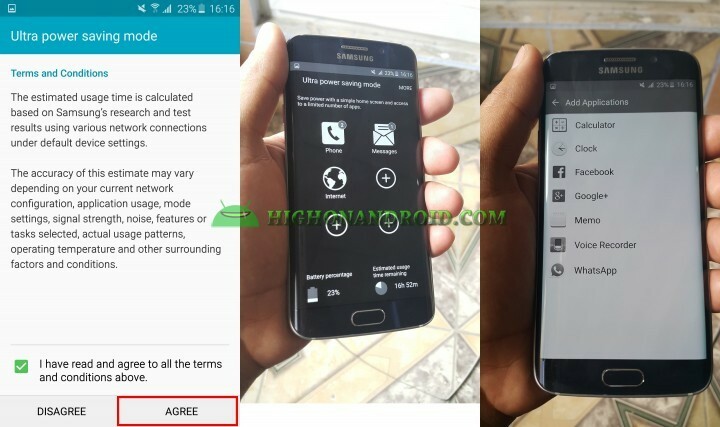 Samsung first introduced this service in Galaxy S5, it was not the best, swiping through the home button to unlock the phone was certainly not the best way to unlock the phone. 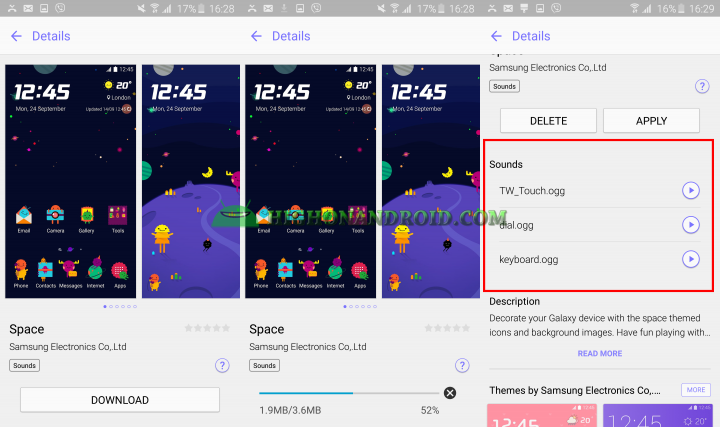 Thankfully, Samsung has fixed those issues and introduced a whole new way of unlocking your phone by simply putting your finger on the home button with NO SWIPE! You can register up to 4 fingers, and the process is fairly simple. All you have to do is to go to Settings > Fingerprints and tap on ‘Add Fingerprints’, a new screen will show up giving you info about registering your fingerprints by simply placing your finger on the home button and lifting it off until the process is done. 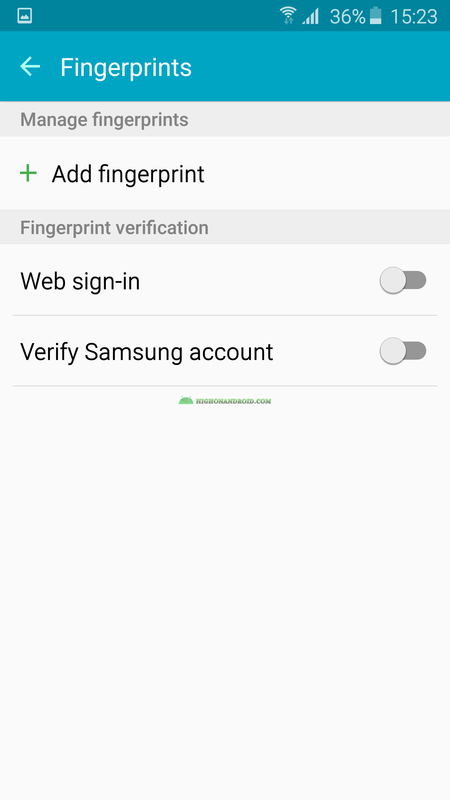 Galaxy S6 and S6 Edge fingerprint scanner is ridiculously fast and it took no effort at all to unlock the phone. Go to Settings > Lock screen and security > Security > Fingerprints. Whether it’s a photo, video, music or other different files, hiding contents is fairly simple. All you have to do is to select the file that you want to hide, then tap on ‘More’ button that will appear at the top right corner of the phone, then select ‘Move to Private’. 1. Enable Private Mode from either notification panel or from Settings > Privacy and Safety, and you’ll be welcomed with a disclaimer screen informing you about not protecting your contents from other 3rd party apps. After that, you should choose a lock method varying from pattern to fingerprint and then choose a backup method just in case your primary lock method didn’t work. You can also disable the Private Mode when the screen turns off. 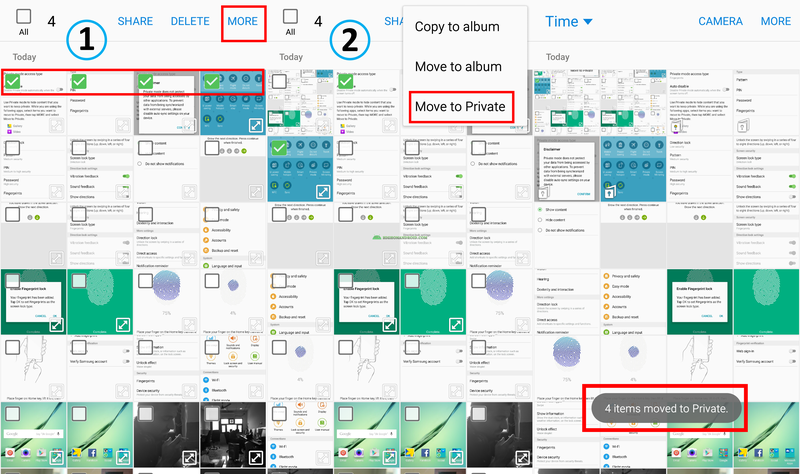 When Private Mode is enabled, a folder with the name of ‘Private’ will appear in My Files app, that folder will include every thing that you’ve hidden on the phone using this mode. 2. To hide the contents, we simply select them. After that, a ‘MORE’ button will appear at the top right corner of the phone. 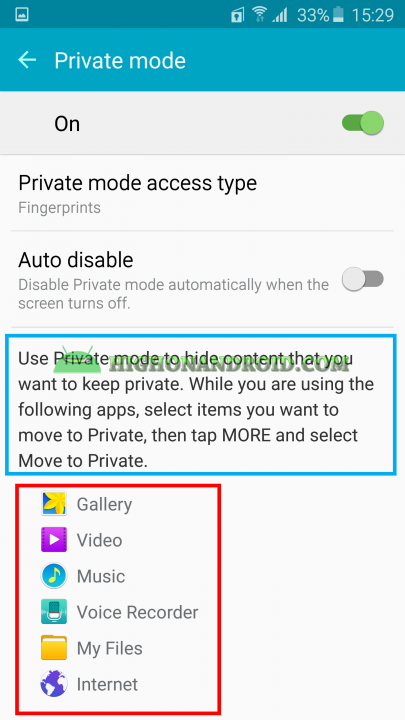 Tap on it then choose ‘Move to private’. Finally, you’ll be prompted with a message ‘X items moved to Private‘. 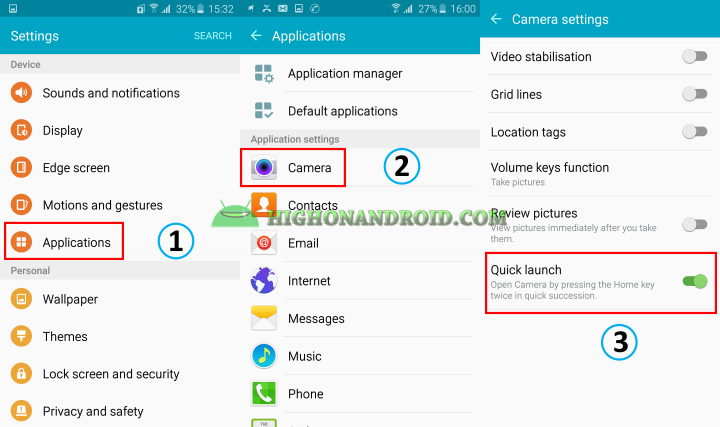 Samsung has implemented a handy feature in Galaxy S6 Edge which enables you to launch the Camera app in only 0.7 seconds, which is quite fast especially when you want to take those important photos in life. 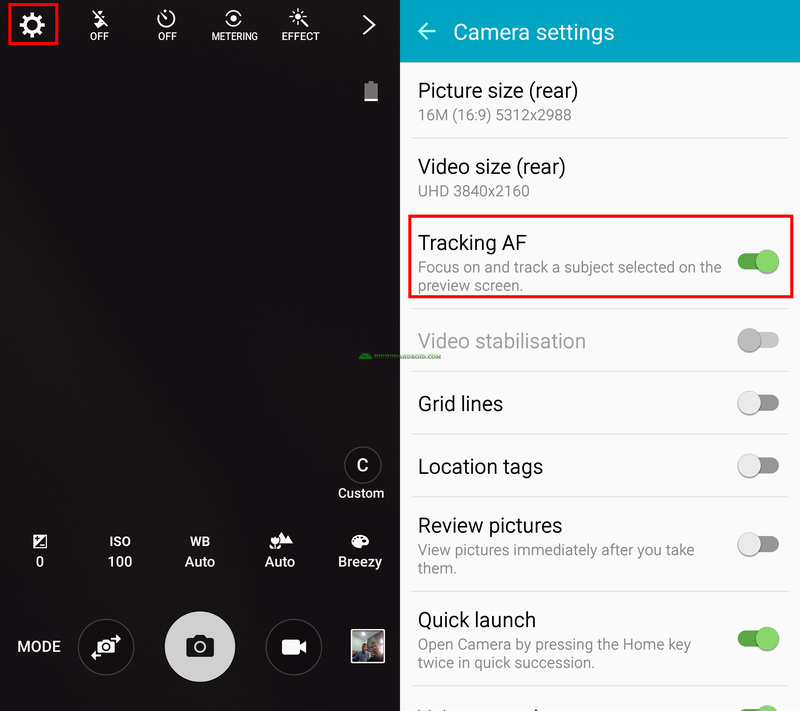 This feature is already enabled in your phone, but if for some reasons it’s not enabled, you can enable it from here in Settings > Applications > Applications Settings > Camera. To launch the camera app anywhere on the screen, simply double tap on the home button and the camera app will open. This will also work when your phone screen is off. 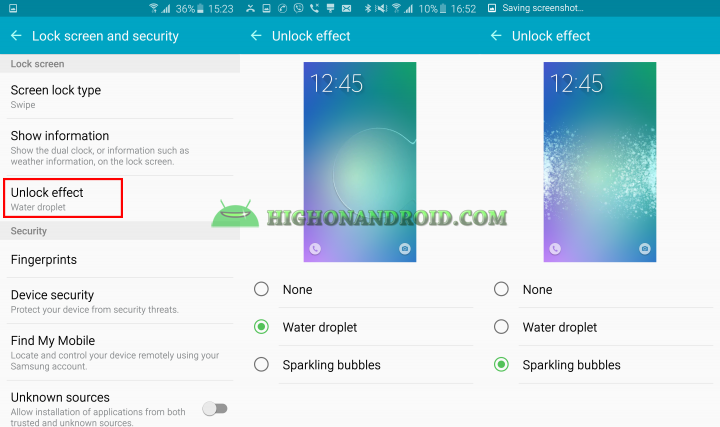 Samsung has implemented 6 different methods for unlocking your phone. There is a new method of unlocking which is ‘Direction Lock’. This method depends on inputting at least 4 swipes and maximum of 8 swipes. The swipe directions can be up, down, left or right. For example, I will unlock my phone with 4 swipes (two swipe ups and two swipes to right). 1. 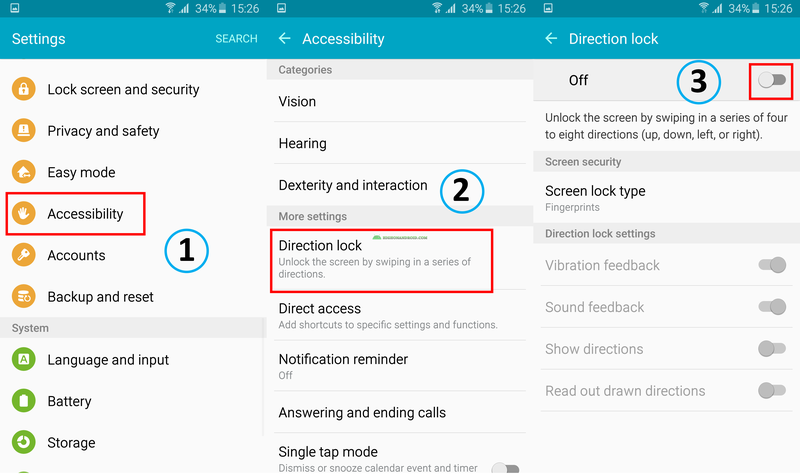 Go to Settings > Accessibility > More settings > Direction lock. 2. You’ll then be prompted with the below screen, input your swipes. It should at least be 4 swipes and maximum of 8 swipes. In my case, I will swipe down twice and swipe to right twice. The final screen gives you content visibility choice. 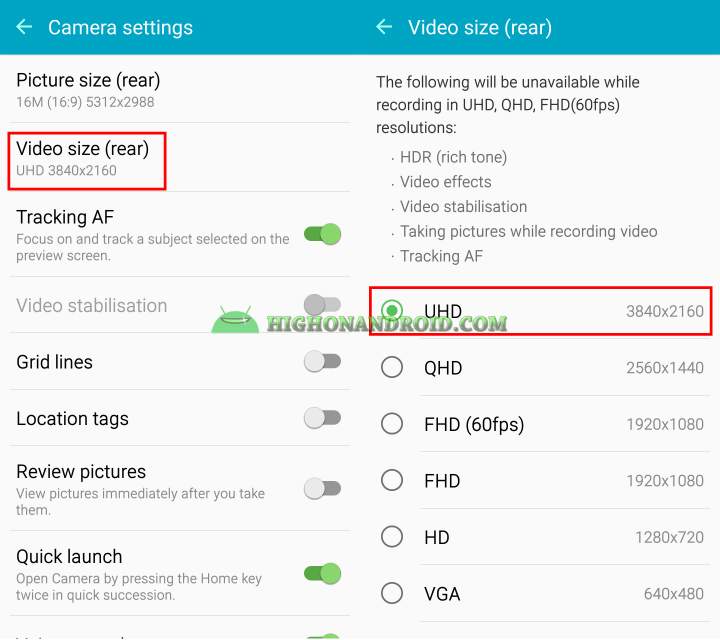 Both Galaxy S6 and S6 Edge have a 2K or 1440P display which is 2560×1440. 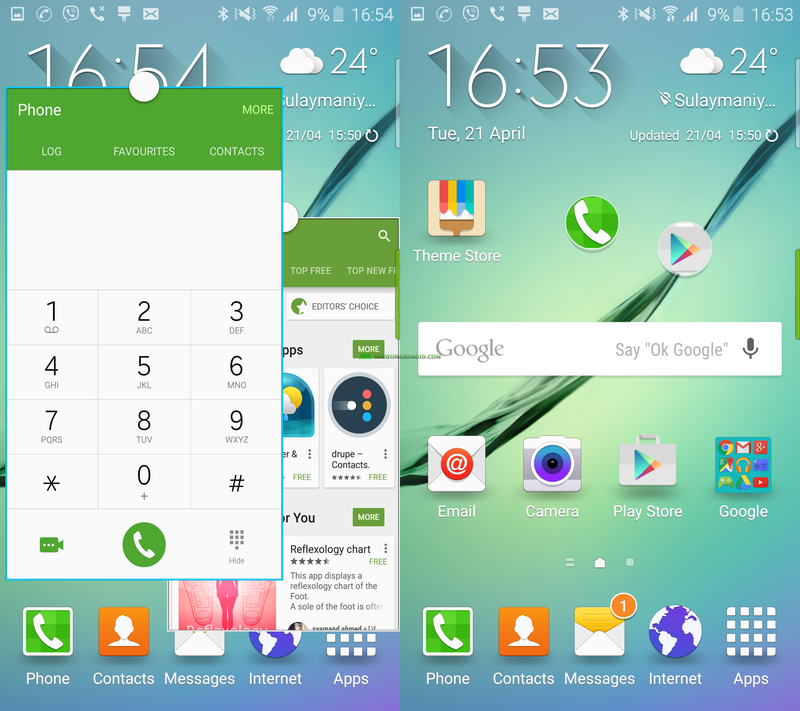 S6 and S6 Edge screens are the best on the market. 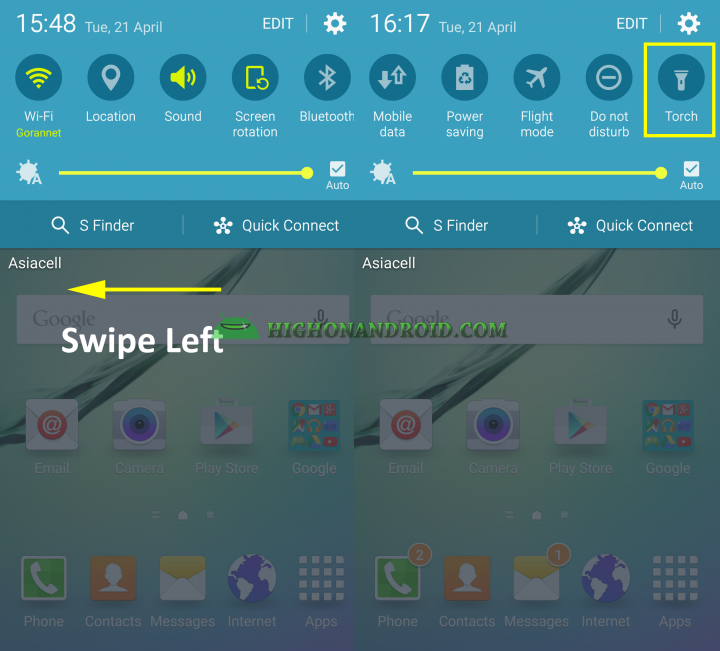 For S6 Edge, the edge really makes it unique for watching videos and showing contents. That’s why Samsung has provided 4 different Screen Modes for optimizing color range, saturation and sharpness of the display. 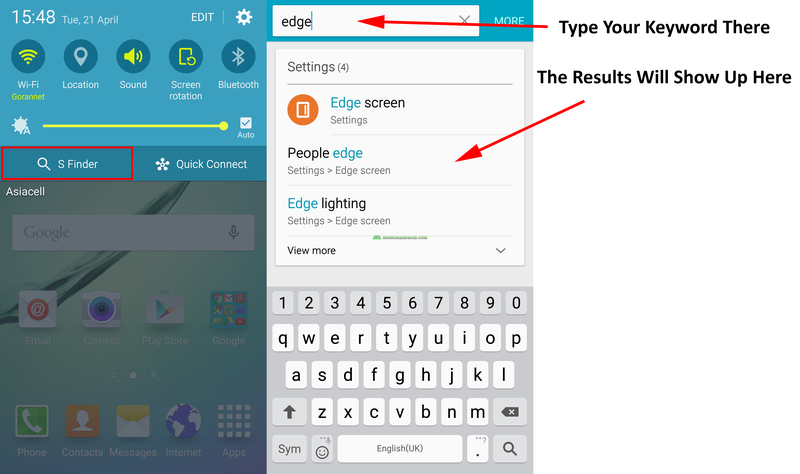 Galaxy S6 Edge has two edges, you can choose any of them as your primary edge to show the information on. Simply go to Settings > Edge Screen > Edge screen position. This features shows a dimmed clock on your phone’s edge. 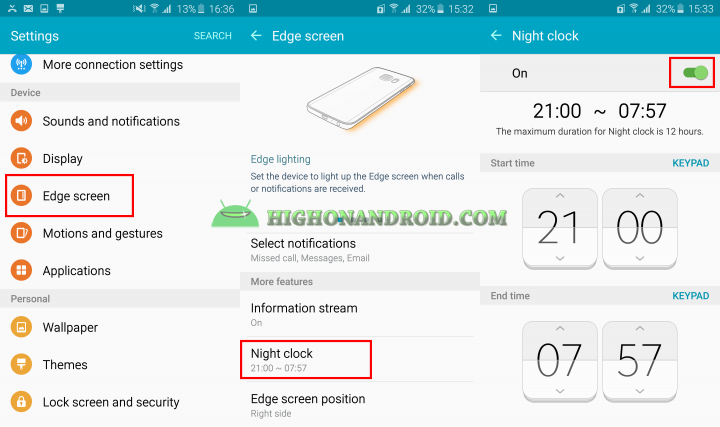 It can be useful for night to see the time without turning on the whole screen. The maximum time for the night clock is 12 hours. 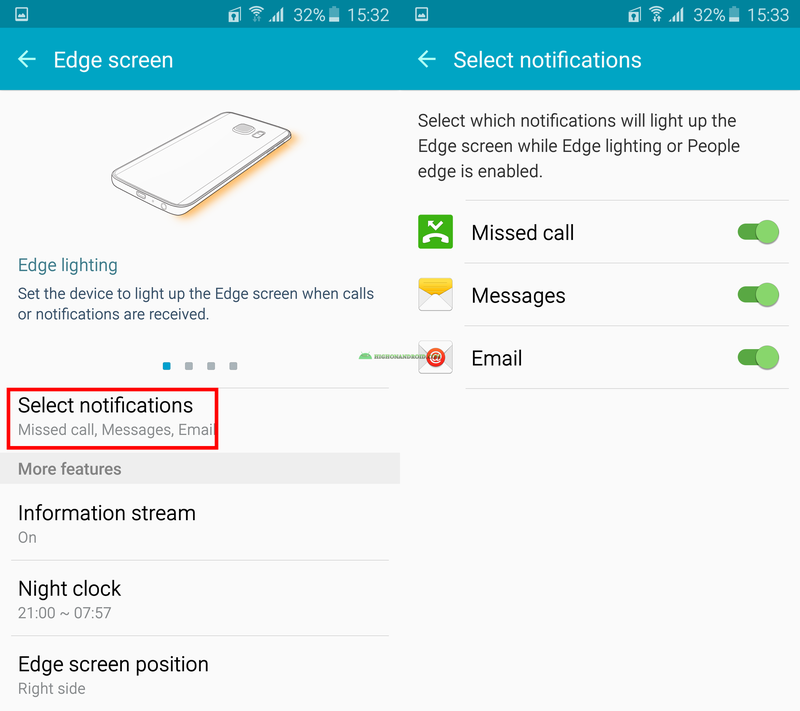 You can customize the type of notifications to show up on the Edge Screen such as missed call, messages, and e-mail. This is another great feature that you can enable on this phone. 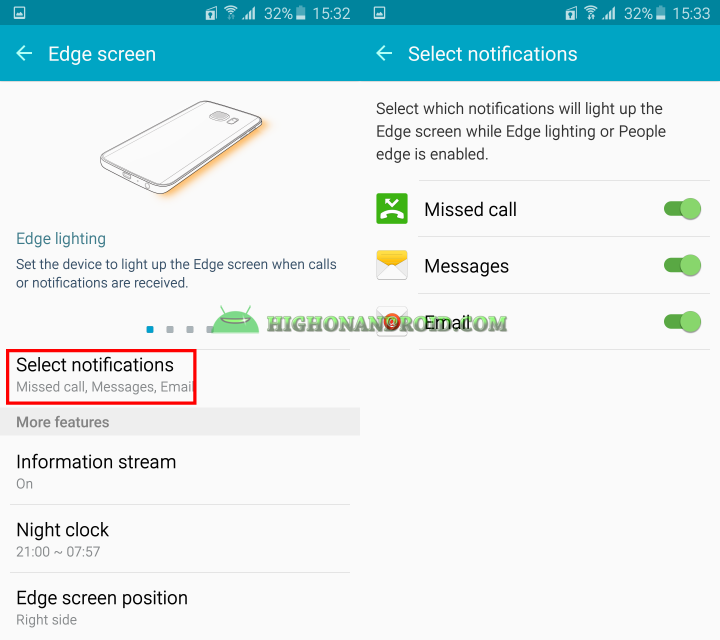 You can set the device to light up the edge screen when receiving calls and notifications. Enable it in Settings > Edge Screen > Edge Lighting. Another great feature that works with Edge lighting with is Edge People. You can select and add 5 of your favorite contacts and give them their unique colors so that when they call you or message you while the phone is on facing down, you know immediately who’s calling or messaging. 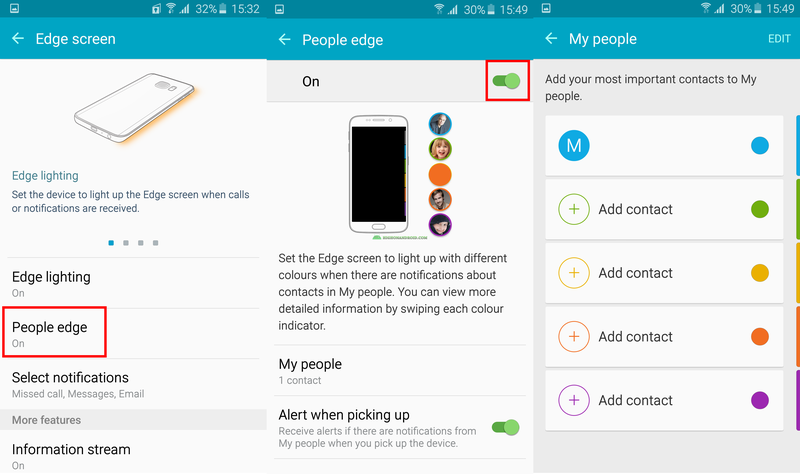 Suppose you’re in a meeting and one of your friends in your People Edge contacts is calling you but you can’t answer him because you don’t have time, Samsung has got you covered. Simply by putting your finger on the heart rate sensor and holding it for 2 seconds, you can send a quick reply with the pre-defined message of your own. This may be great to use when you are in an important meeting or perhaps in the middle of doing something important. 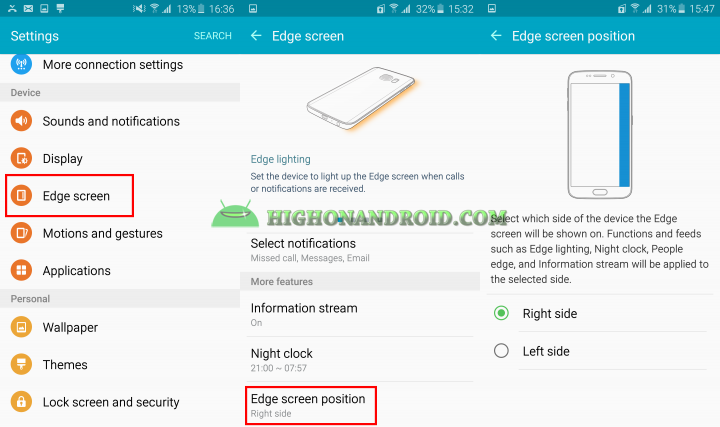 You can also show information on the Edge screen by going to Edge Screen > Information Stream. At the time of writing this article, only few feeds were available but there should be more in the future. Galaxy S6 and S6 Edge camera is one of the best cameras of 2015, surpassing Galaxy Note 4, iPhone 6/6 Plus in the latest DXOMARK research (which you can read here), and we’re not surprised considering that Samsung is one of the best manufacturers in providing great camera sensors to its phones. 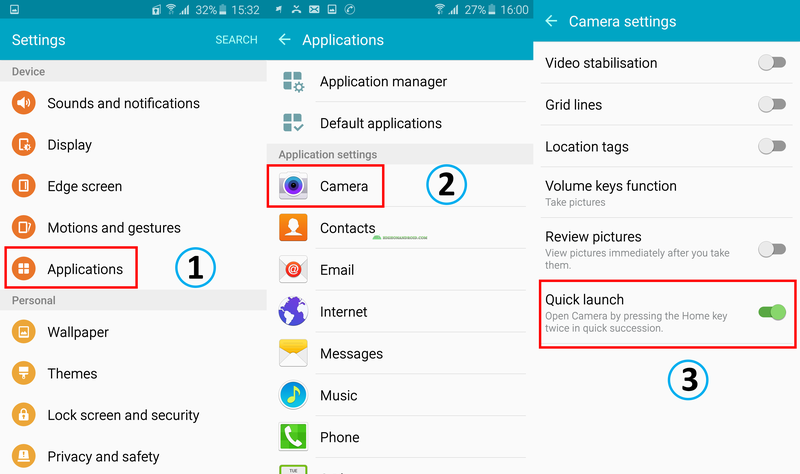 Below are the list of features and modes that you can do with S6 and S6 Edge camera. 1. Smart Auto Focus: With this feature enabled, you can keep the focus on the selected object even when it’s moving. 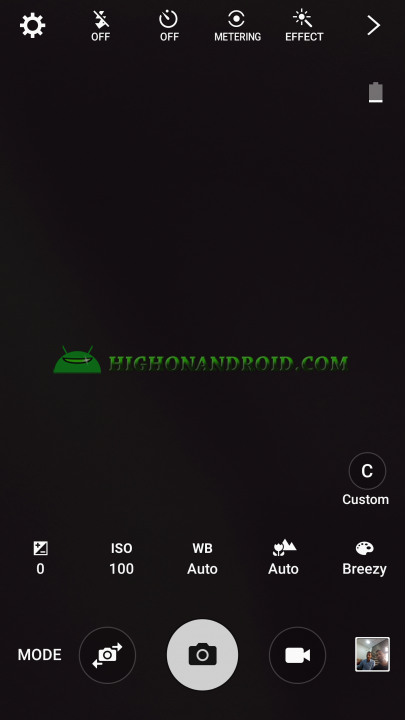 Enable in the settings of the Camera app. Say ”Smile, Cheese, Capture or Shoot” for shooting pictures. Say ”Record Video” for recording videos. Simply put your finger on the heart rate sensor to capture selfies. This will work on the front facing camera. 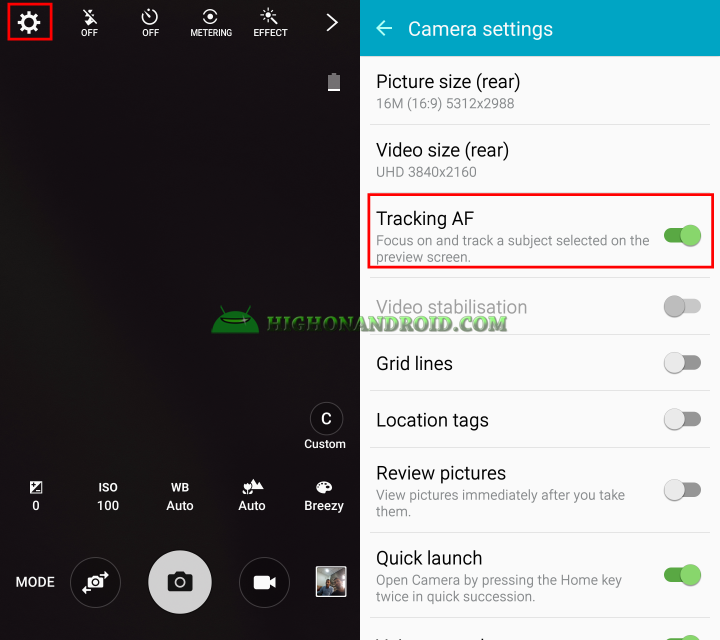 Enabling this mode will automatically capture pictures using rear camera. With this mode you can focus on an object while blurring the other object. After taking the photo, you can make the focus either on foreground or background. This mode will take 360 degree pictures. 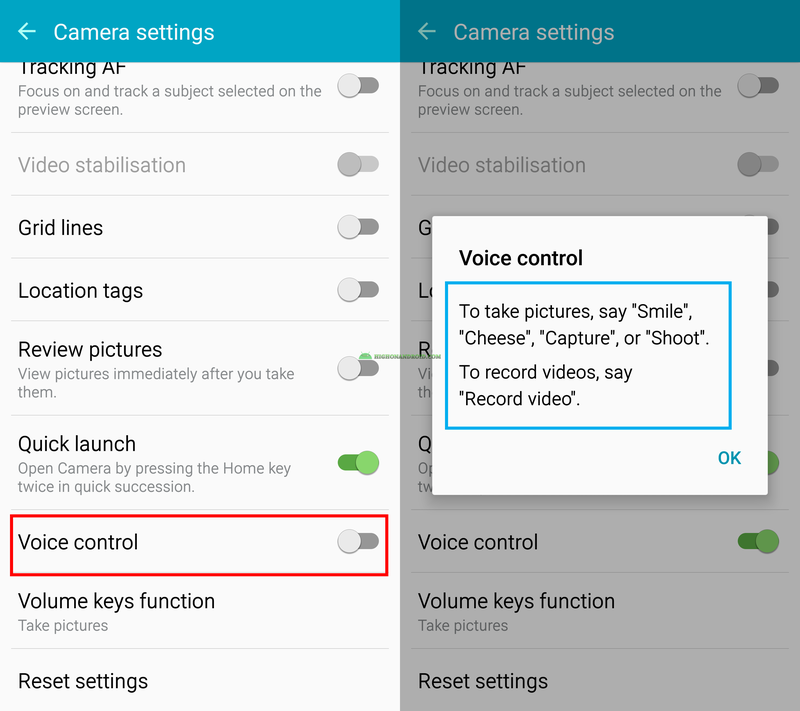 With this mode enabled, you can record or captures pictures using both front and rear camera. For recording slow motion videos. For recording fast motions videos. -This mode enhances users’s face by adding removing wrinkles. This mode is useful for taking fast moving objects in sports. -This mode lets you create spherical panorama of your surroundings. This mode is kind of like a macro mode for taking pictures within a close range. 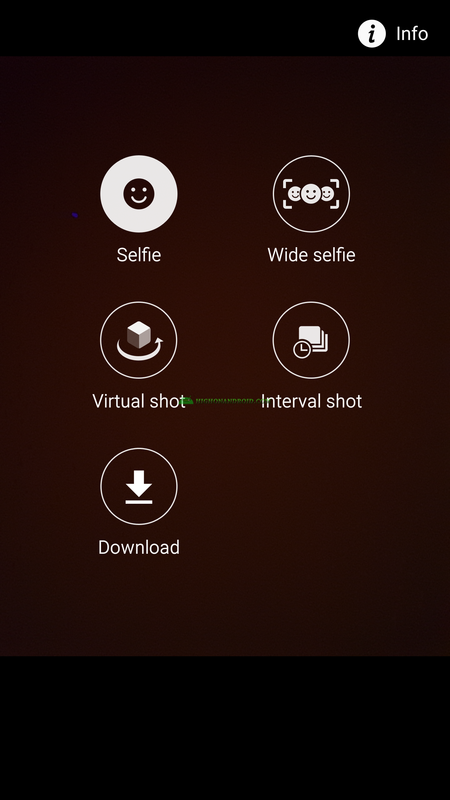 For taking wide selfies, you can take one picture and then move the camera to right and left for completing the shot to get a super-wide selfie. Interval shot lets you do some time-lapse shoots. Same as the rear camera, gets rid of wrinkles. 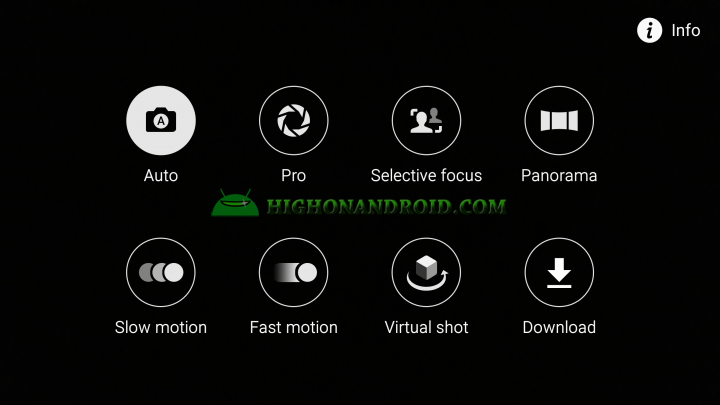 This mode is for those who want to add custom settings to the camera like ISO, focus and exposure. The front camera also has HDR mode, which is really useful for taking great shots on photos that have drastic exposure changes. 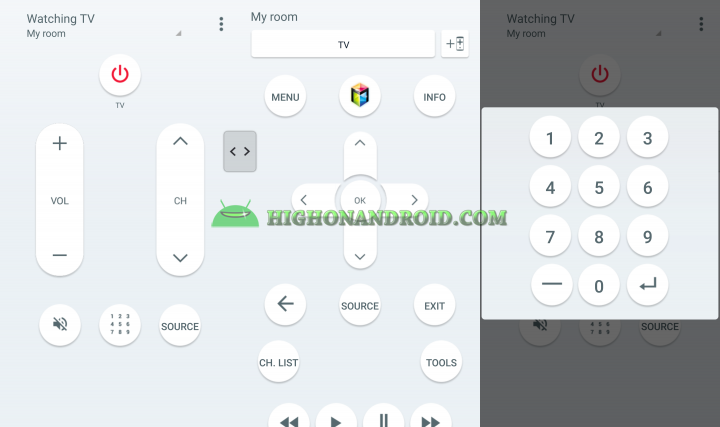 Simply search for Smart Remote app to control your home electronic devices. 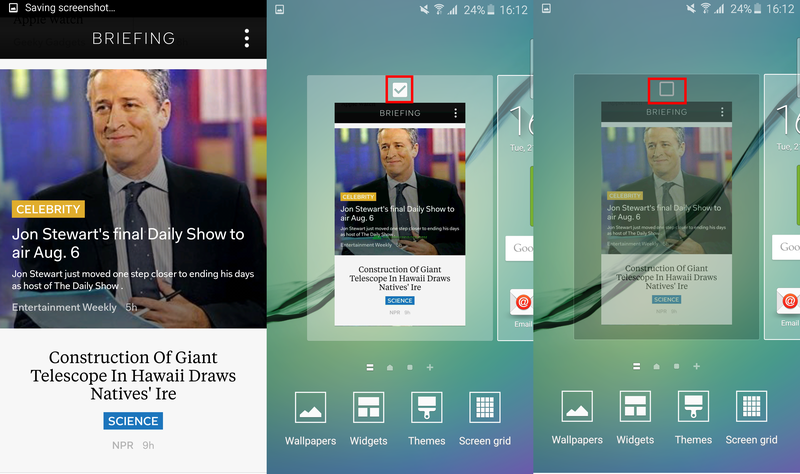 By default there is a Flipboard Briefing on the phone’s home screen which some people detest. 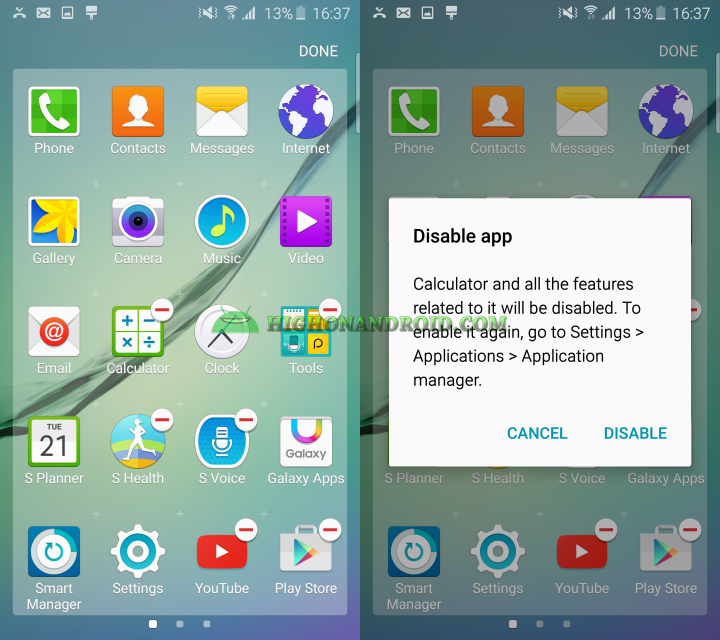 If you’re one of them, here’s how to disable that feature. 1. Long press on a blank area in the home screen or tap and hold on recent apps button on your phone. 2. The home screen will minimize a little bit, move the screen to far left to the briefing screen. There you see a check sign at the top of the screen, simply uncheck it to disable the briefing screen. 1. Long press anywhere on home screen. 2. Tap on screen grid and choose your favorite one. If you’re not happy with the lack of external SD card availability, then Samsung has offered another way of expanding your storage by giving you 100 free GB of Microsoft’s OneDrive for 2 years. 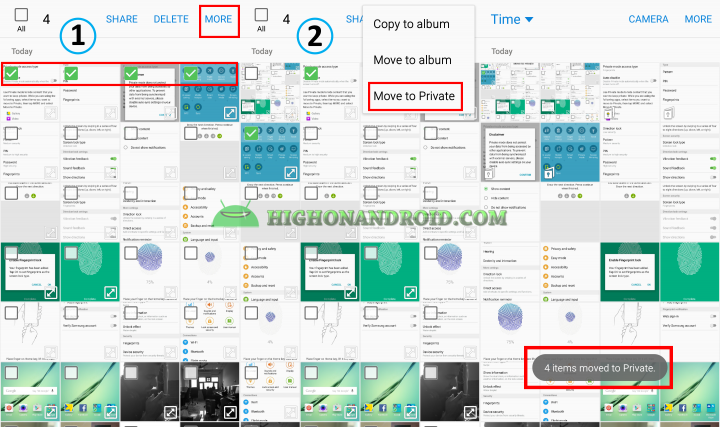 Samsung collaboration has lead to pre-installation of several Microsoft apps on Galaxy S6/S6 Edge such as Skype and One Drive. 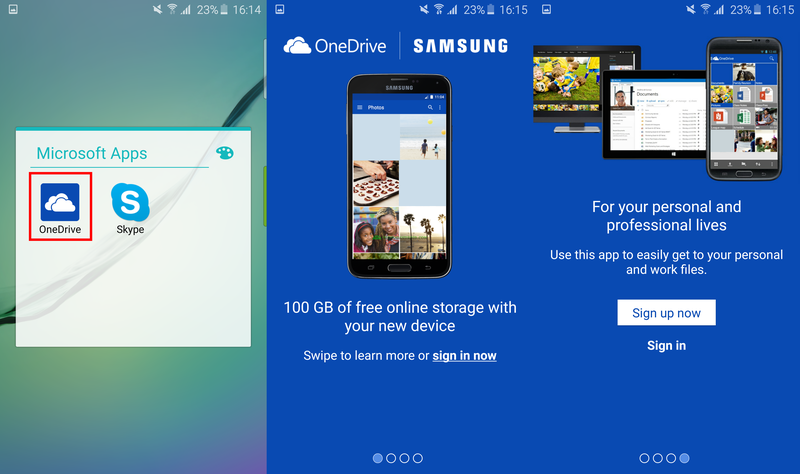 Simply open OneDrive app and either sign in or sign up to claim your 100 GB free storage. Samsung introduced a new app in both Galaxy S6/S6 Edge, this app lets you manage several important things in your phone. 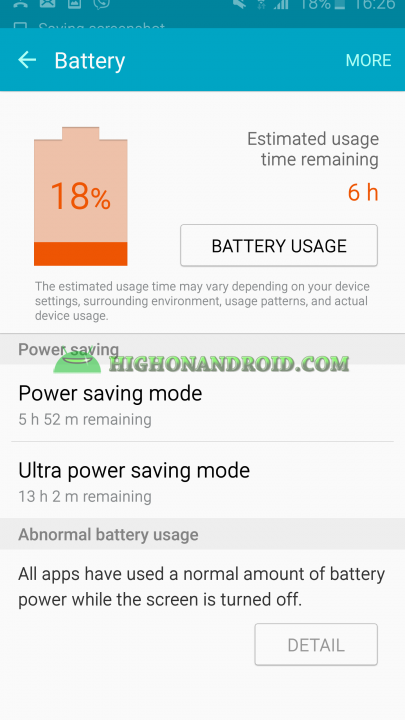 This informs you about the estimated time remaining and the apps that are taking the most battery as well as giving you the ability to enable different power saving modes right from the app. This section shows information about your phone’s storage and what takes up the most space on your phone. 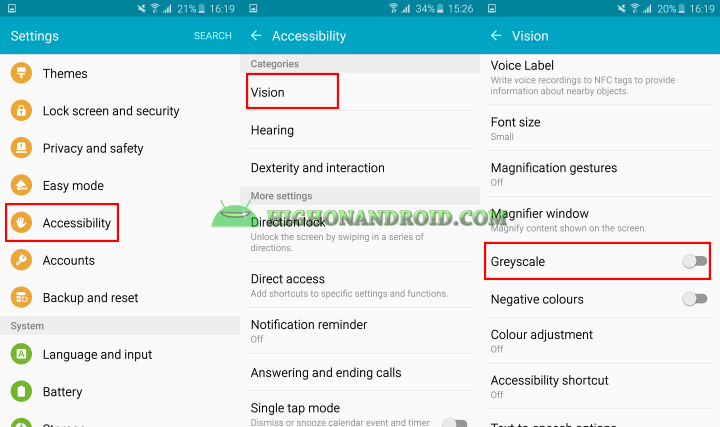 This section informs you about the apps that are using the most RAM memory and the ability to turn them off. This part is responsible for protecting your phone from malicious apps and other security threats. You can also enable KNOX active protection for extra security. Samsung has implemented 4 different ways of saving your battery from basic to to advanced. As the name implies, this mode squeezes every juice out of your phone. It provides a simplified gray scale screen with only few apps to use like Phone, Messages, Calculator, etc… but this will save you a ton of battery life. 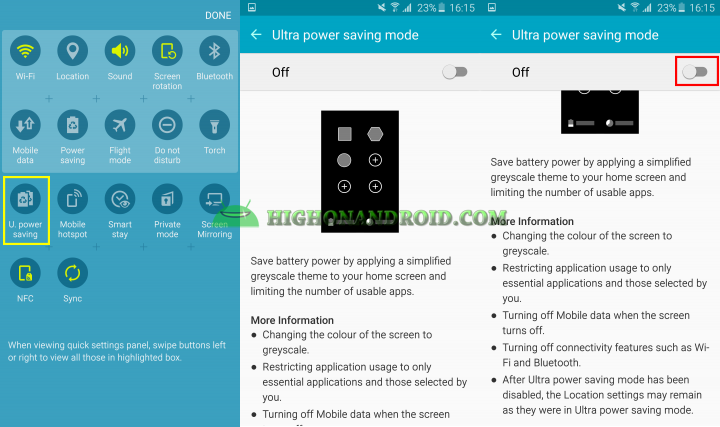 This mode is pretty similar to the ultra power saving mode. 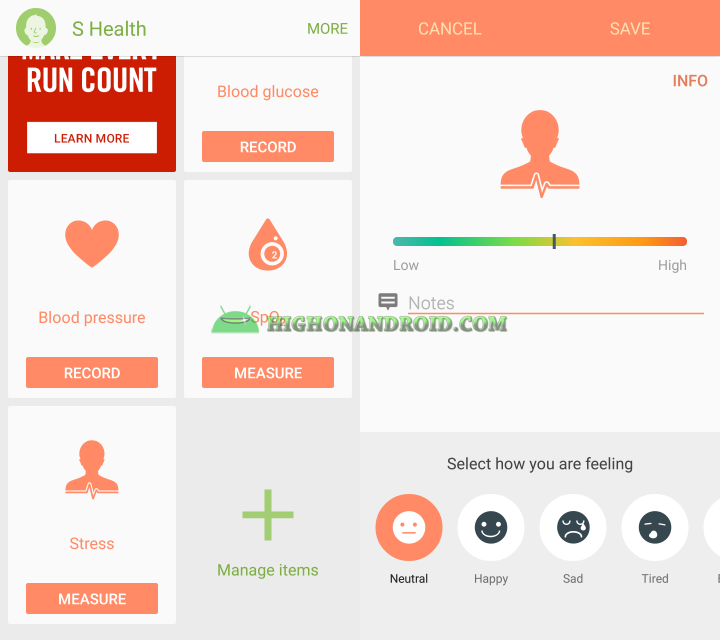 It provides a simple grayscale screen and restricts the use of all apps except for some important apps like Phone, Internet, Twitter, Facebook, and Maps. It will also let you use built-in torch, emergency alarm and share your location. Enable it by pressing and holding power button then choosing the ‘Emergency Mode’ from the power menu list. 1. Touch sounds, Keyboard tick sound and dial sound. – You can change the theme from Settings > Themes. 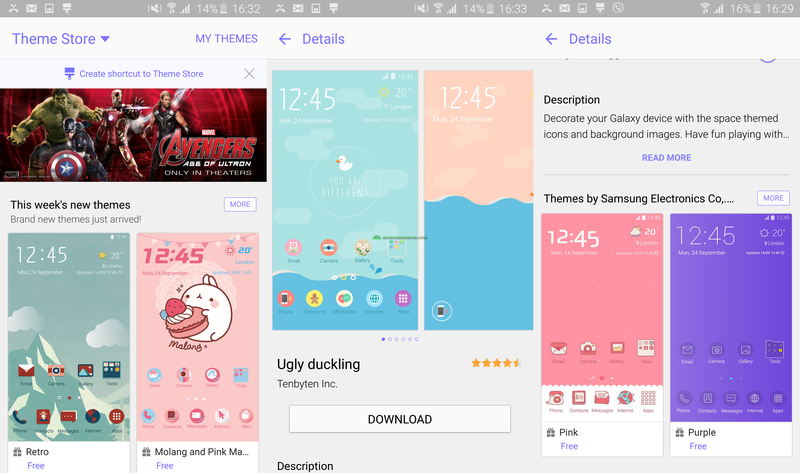 – There are two pre-available themes (Pink & Space) that does not require Samsung account for downloading. Some themes give you new touch, dial and keyboard tick sounds like the below theme. 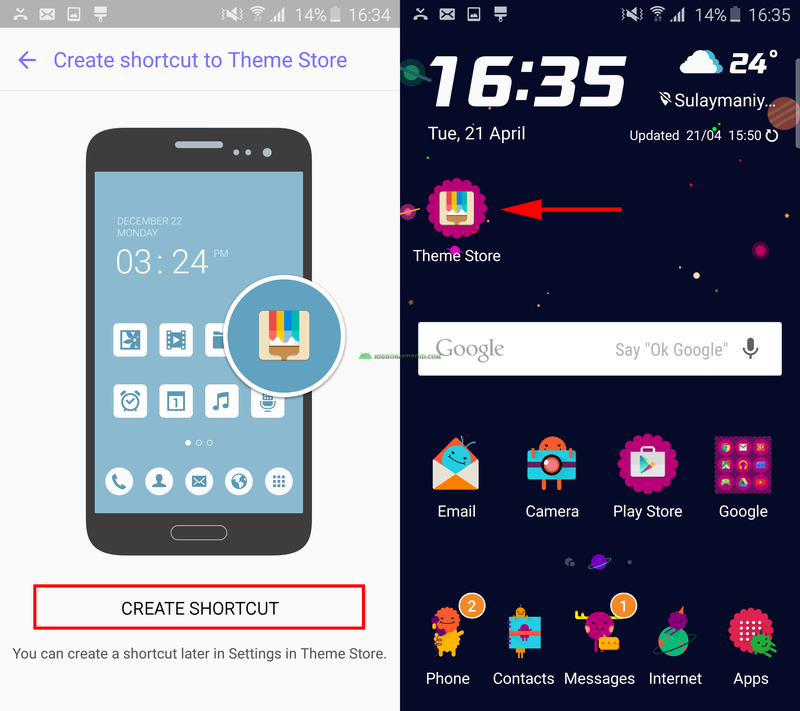 You can also download more themes from Themes Store and also don’t forget to create Theme Store shortcut on the home screen for easy access. 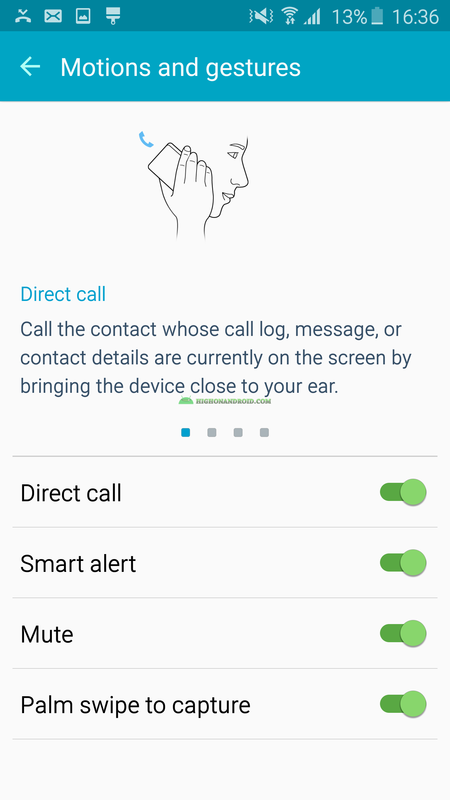 Call the contact whose call log, message, or contact details are currently on the screen by bringing the device close to your ear. Your device will vibrate when you pick it up to notify you about missed calls and messages. To mute incoming calls and alarms, place your hand on the screen or turn the device over. This feature is already covered at the top of the page. Let’s be honest. Almost every Android phone these days contain some bloatware and useless apps that we never use. Luckily in Galaxy S6/S6 Edge, you can uninstall or disable unwanted apps to save some space and give your phone more speed/storage. Be careful which app you disable as some of them will disable some important features of the phone. Keep in mind that you can’t uninstall all the apps as some of them are vital to running the phone. 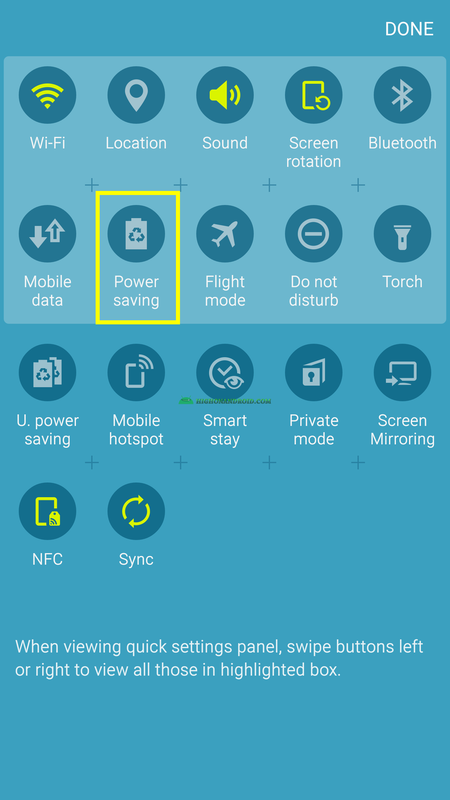 One of the greatest features that Samsung invented was Smart Stay, which was first introduced with Galaxy S2. When turned on, this feature uses the front camera to check the user’s eyes and won’t let the display turn off so as long as you’re looking at it, another really cool feature. 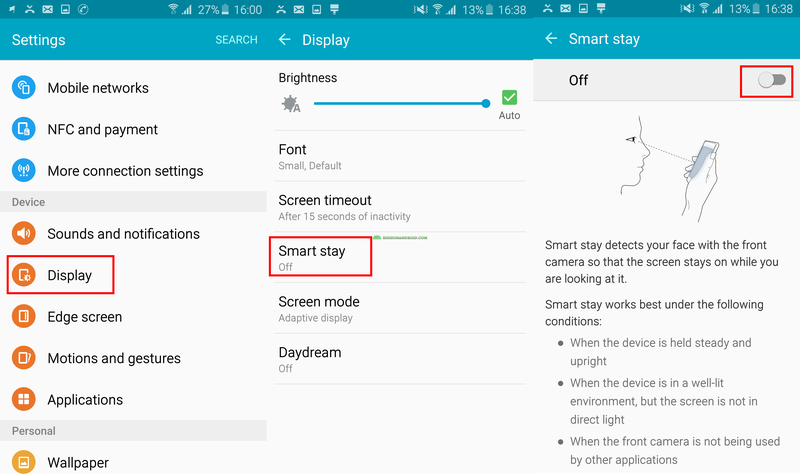 Enable it in Settings > Display > Smart Stay. Use S Finder while pulling down the notification panel and write down your keyword that you want to search for. Enabling this feature will let you answer phone calls by pressing the home button and end it by pressing on power button. 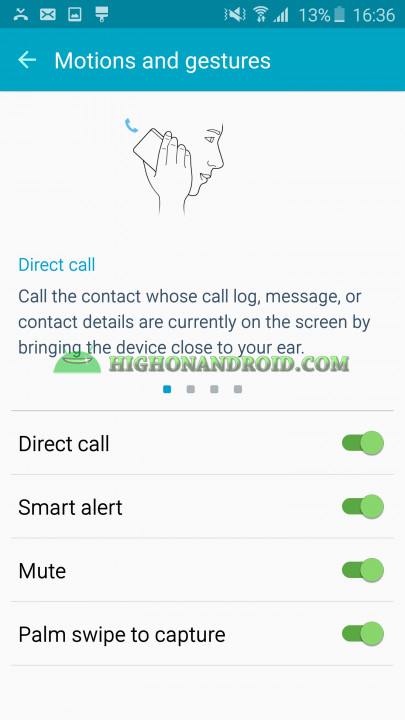 I personally use this feature to avoid looking at the screen to touch the ‘End Call’ button as the screen blinks while making phone calls. 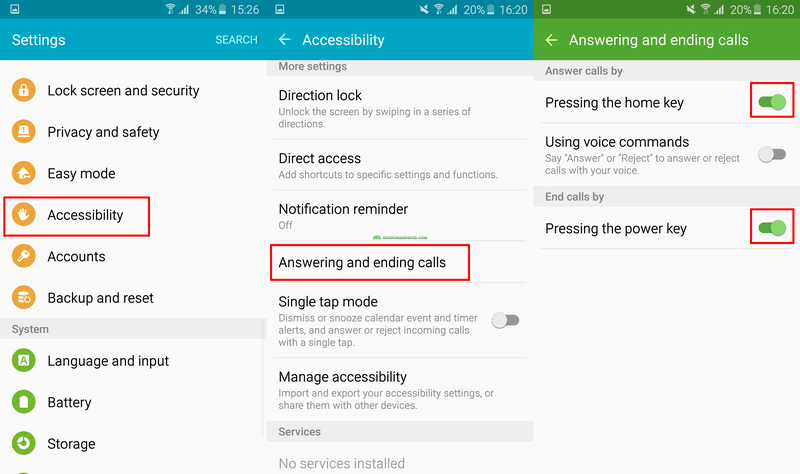 Enable it in Settings > Accessibility > Answering and ending calls. You can multitask in two different ways. 1. By putting your finger on the top left or right corner of the screen and swipe it down to center to minimize the app, you will get a floating window. 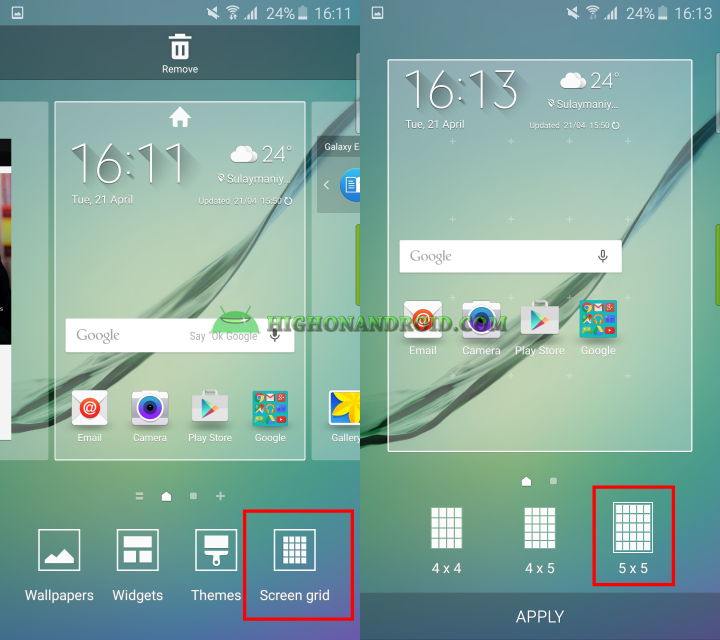 You can also minimize the app to just a floating icon as shown in the below screenshots. 2. By holding-down on the recent apps button of your phone (that’s the left button), you will be able to split windows. 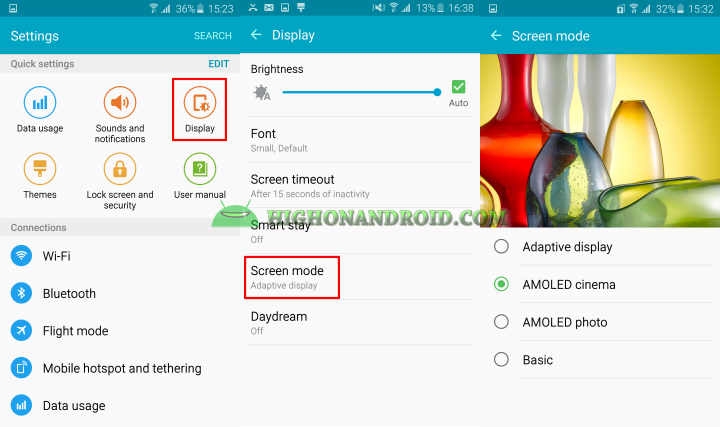 If for some reason, the standard screen is a little difficult for you, then you can enable Easy Screen Mode. This shows bigger icons and is useful for those who are not that familiar with smartphones like your grandmother. Enable it in Settings > Personalization > Easy Mode. The default screen unlock effect is Water Droplet. If you need to change it, go to Settings > Lock screen and security > Unlock effect. Simply swipe down from the top screen to show the notification panel, then swipe left until you see the ‘Torch’ toggle. If you have kids who like to play with your phone so you can keep them busy, worry no more. Samsung has put a really nice app just for your children. It’s called “Kids Mode” this mode contains, Games, Music, Game store and Camera. You can set time limits for the amount of hours that you want your kids to play. And of course, you have the ability to lock it with 4 digit pin to prevent your kids from going out of the Kids Mode. This is a really nice feature of Android Lollipop that Samsung uses in this phone. Enabling this feature will replace your phone screen security methods to just a Swipe so long as you’re at home, work, and trusted locations or with a trusted device. Enable it in Settings > Lock screen and security > Secure lock settings > Smart Lock. 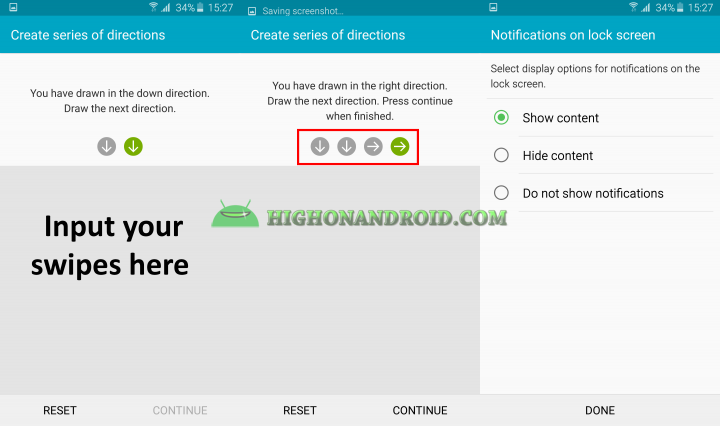 This is another nice feature which enables you to pin a specific screen of a specific app. This will be useful when handing your phone to someone else when they ask you to make a phone call, ensuring that they will only make a phone call without doing other things on your phone like accessing your e-mail app. You can also set a password to protect the pinned windows for more security. Enable it here in Settings > Lock screen and security > Other security settings. Galaxy S6 and S6 Edge support wireless charging. This is a really awesome feature and it supports all different kinds of wireless charging pads. So be sure to buy one, any Qi-compatible wireless charger will work with S6 or S6 Edge. That’s it guys, I hope you enjoyed this article, and as always be sure to share it with you friends! I don’t think you can do that as of right now such feature is not yet available. but it’s available for The video player app. How do you lock the video so my little one doesn’t change the movies? Please.. It does it by itself. No need to turn on. Can’t turn off. Note: S Voice may not clearly recognize the contacts name if they’re not in English (as in our case) but it gets it close and suggests similar ones. Hope above tips help you solve your issue bro. 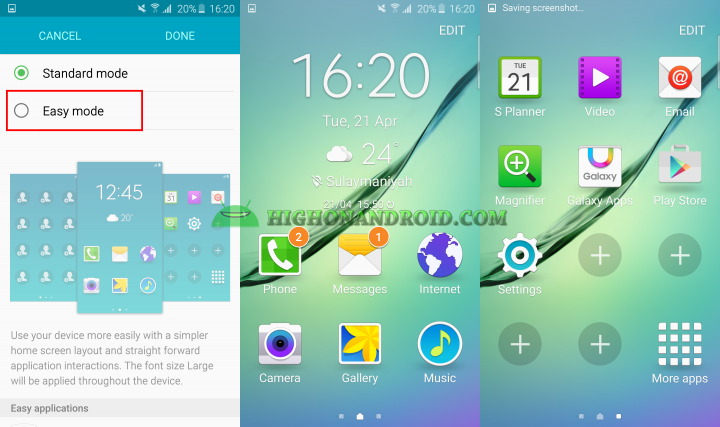 Great summary of features of S6 edge. I learnt few new features. 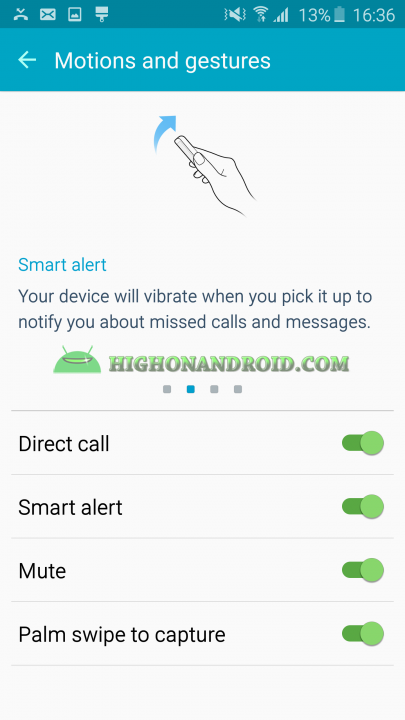 Is the phone missing basic feature to disable sound notification while connected to headphones listening music? hope there are some tips or hacks. Question….when I unlock my Edge it always opens to the keypad. This is obviously be default. Any way this can be changed so that when I unlock it opens to home screen? do you use any type of locking methods like Password, Pin and others? and can you send us the screenshot of the keypad ? all you have to do is to open the picture you want to write on, and then tap on the top right button and choose “STUDIO”, or you can just open the picture, and then tap on it once until you see list of icons at the top of the screen, you then choose the icon with pencil and a portrait. both options will take you to photo studio where you can add tons of things like writings, borders, effects, etc. let me know about the result. 1. wakeup of the Edge screen which shows weather, time and other info. 2. wake up of the screen which is called GESTURE WAKE UP it’s in Settings > Accessibility > Dexterity and interaction > Gesture Wake up, (what it does is that whenever you cover the phone’s screen (precisely its Proximity Sensor, it will wakup the phone). But I am not sure if that what makes your phone wake up or not. there was a similar feature that was first introduced on Galaxy S4 which was called “Quick Glance” but I don’t think that it exists on S6/S6 Edge. let me know about the result of your problem. I have been looking EVERYWHERE to see how to turn on my proximity sensor. For whatever reason, the one on my GS7 Edge had turned off. I might have inadvertently turned it off while playing with the settings – I don’t know. when you take screenshots, open it and then tap on it once, there is a rectangular button at top of the screen, tap on it and then you can add any effects to your photo or screenshots, from drawing to other awesome effects. Hi Chris, there are few features that can change the displaying color of your phone. 1. Settings > Display > Screen Mode (Choose “Adaptive Display”). 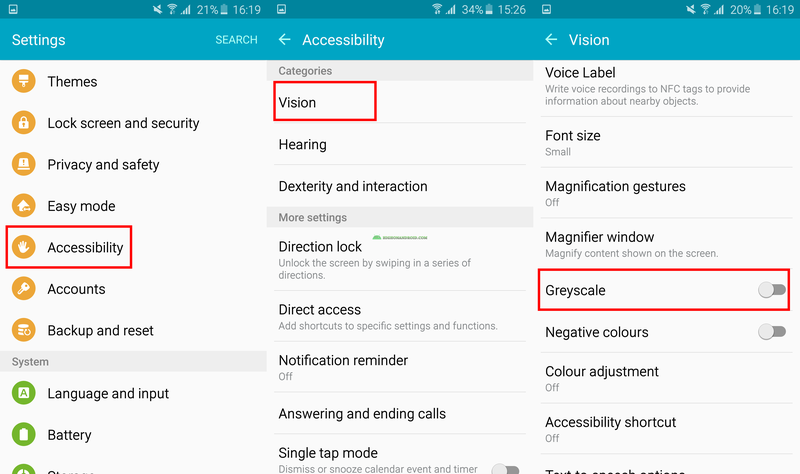 2. navigate to Settings > Accessibility > Vision > Negative Colors (DISABLE this if it’s enabled). if your problem is not solved, please send me a screenshot or a picture of your phone so that to help you solve the issue. Thanks for this great write up . Please i will like to know if i can access my facebook pictures with the photo app because i normally do that with my Note 4.. Can i do that on Samsung S6 edge? 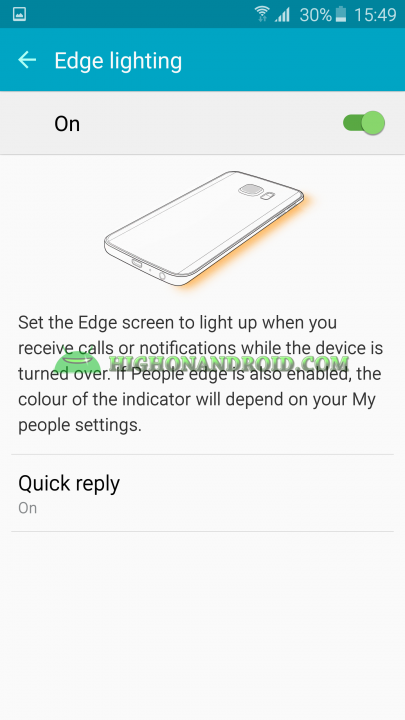 Thanks for your comment Gbenga, Samsung didn’t change the previous settings for their newest phones, so you should be able to do that exactly as you did on your Galaxy Note 4.
how to stop the s6 edge fr waking up by notifications? I’ve various smartphone but s6 is the only one which wakes up in my pocket when i get a notification It drains battery & launch apps unknowingly. Hi, I’m not able to wake up the edge part of the screen, I’m following the directions in settings and it’s not waking up or showing me anything on the actual edge of the phone. Hi shanno, you have to “QUICKLY SWIPE” on the edge from one side to another, then that will show up Clock and other enabled Tiles. Hi, is there a way you could save number from your call log, or update it to your existing contact?I could usually click and hold till the menu for saving the number come out with the previous galaxy. The new one just let you tick it and with the option of just deleting the number from the call log. The only way i know is trying to call the number back and end it, then it’ll have those options. I’m wondering if there’s a more normal way. Hi Andy, of course yes, and it’s really easy, all you have to do is to TAP on the unsaved number in the Call Log, it will take you to another screen at which your option of either “CREATE CONTACT” & “UPDATE EXISTING”، there you can either update an existing contact or create a new one with that unsaved number. let me know if it works for you . yes it works, thank you very much, now i feel very stupid lol. thanks again. any time brother ;), you’re not alone, Same happened to me when I bought my Note 4. glad it worked for you. 3. tap on the 3-dot button and there should be “Studio” button there. Tiffany, I know what you mean the S4 would read out who is calling or the number, likewise when you received a text. But there doesn’t seem to be this function on the S6. Unless someone could advise if it is possible to have voice alerts? HI, Sure, Navigate to “Settings > Lock Screen > Camera Shortcut” and UN-TICK the “Camera Shortcut”. Is there a way to make the camera shortcut a calculator shortcut? How do I stop the Hand free opening on my S6 even though it “Off”on the setup? How do I change S voice wake up command? 1. open S Voice app. 2. Tap on 3-dot button to go to Settings. 3. A new screen will open up, Choose “Voice wake-up”. 4. A new screen will open up. 5. On the new screen tap on “Set Wake-up command” to set up your NEW Wake up command for the S Voice. 6. Follow the instruction for setting up the new Wake up command and you’re done. No, Samsung has removed “Smart Screen” features since Galaxy Note 4, and that includes the “Smart Pause” feature that you mentioned. 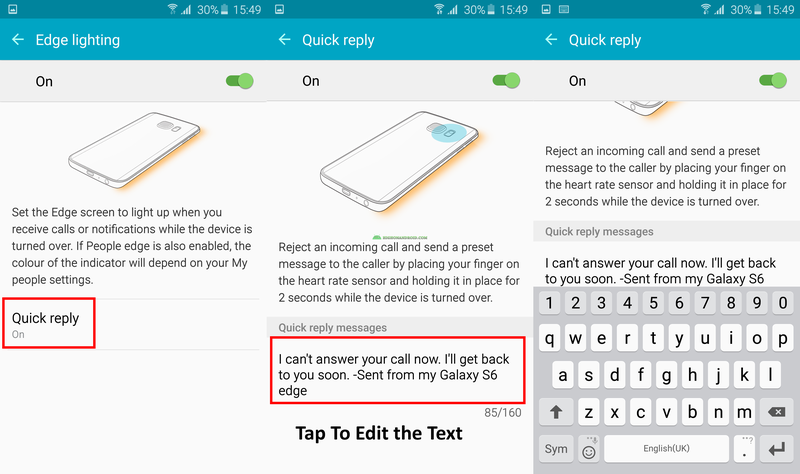 It was a useful feature, it’s sad that Samsung removed it. 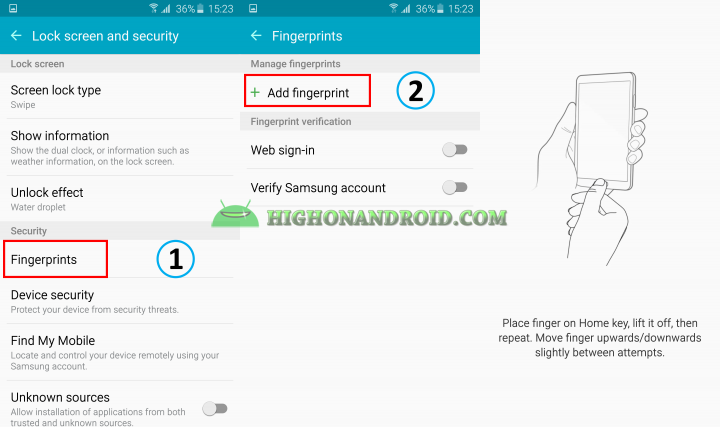 I love my S6 Edge but two things, first I read that I should be able to just press hold my finger on the home key to unlock while using the fingerprint unlock but my phone requires my to swipe to wake it up then hold my finger on the scanner. Can I fix it? Then my phone doesn’t have Smart Manager and I can’t find it in either app store. I have the galaxy s6 and i use the s health app and my friend has the galaxy S5 and she also uses the app but hers let’s her display the pedometer on her lock screen. Am I able to do that on the s6 or is that just on the s5? 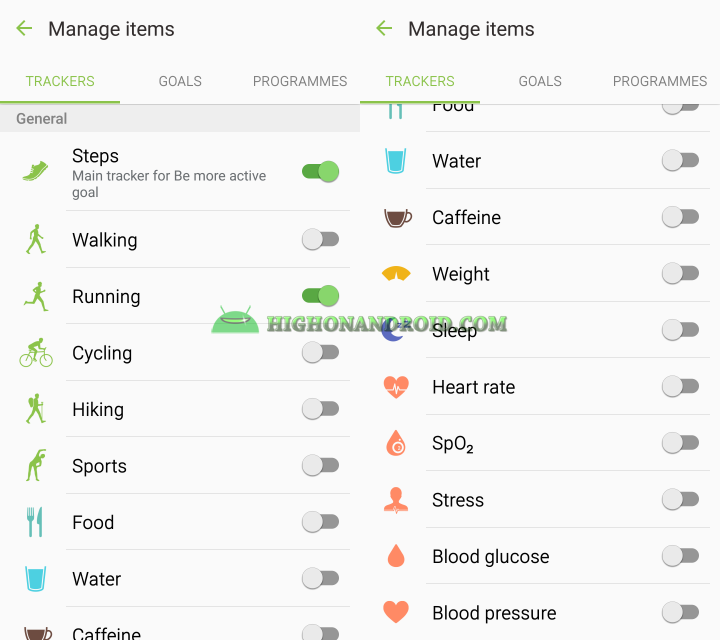 This features works on all Samsung devices with S Health app, once you input your info (name, weight, height, etc), and start your activity, it will show it up. mine was showing up on the lock screen even when I was inside a Bus!!! make sure to do the these steps and it should show up on the lock screen. let me know how it goes. 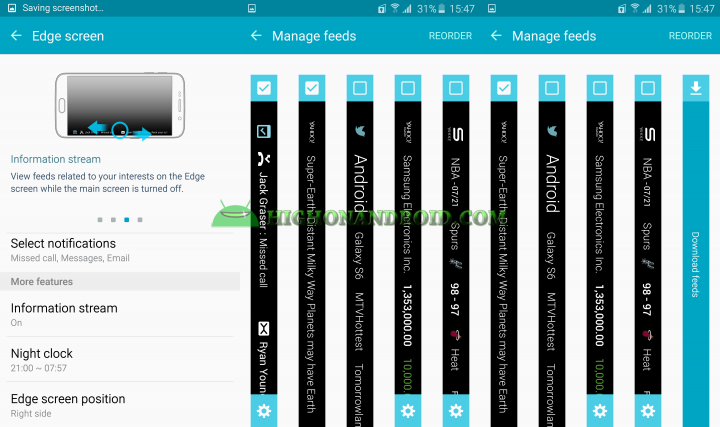 I had a galaxy s4 and it had the little tab on the side and it opened and it was like a tray with a few apps in it. I don’t mean the multi window where ya have two apps on screen at once. It was like a side window with some apps in it. 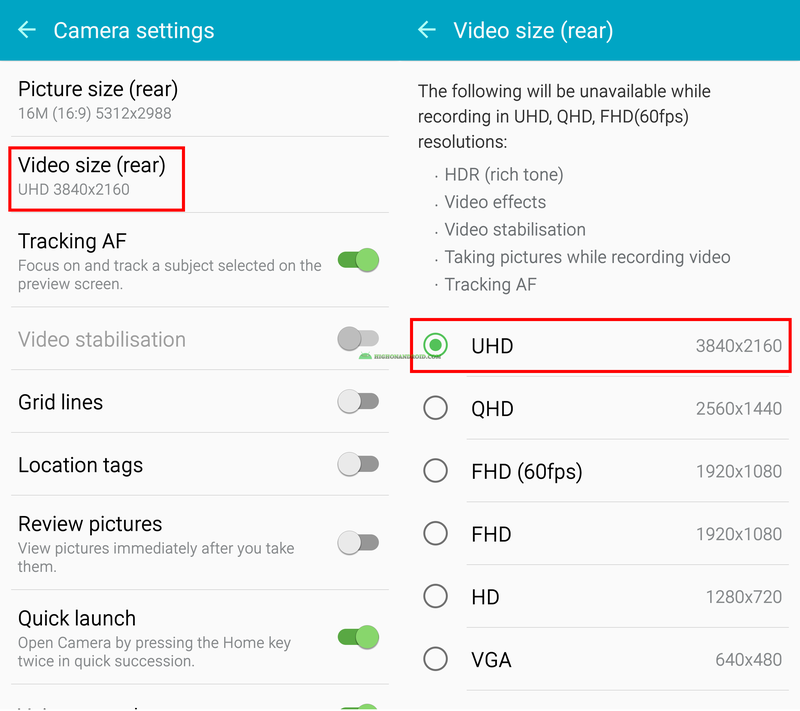 Does the s6 not have this? I think that you’re misunderstanding that with “Sidebar” apps, at which you can use them to launch apps from your phone’s sidebar. this is example of one of these apps. https://play.google.com/store/apps/details?id=mohammad.adib.sidebar.lite. Galaxy S6 does not contain that feature. Some of my photos in my gallery folder are transfer from my previous phone. When I’m at the photo I wanted to open with another app, I can’t seems to do it. Any advise? you need to install ANOTHER photo editing or photo viewer apps in order to be able to open gallery pics using those apps. I’m unable to make video calls, the options I get are call and message. Samsung say it’s a provider issue and vodafone say that I need to enable advanced call settings. 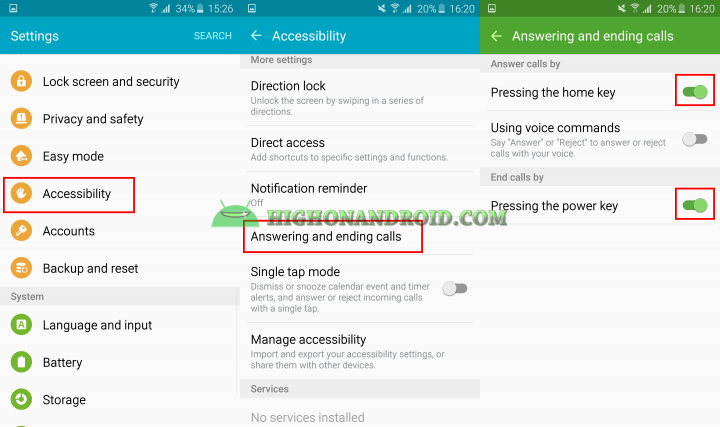 I can’t find advanced call settings even by doing a search via settings…. are you able to advise please? 2. Dial the number you want to call. 3. Tap on the video Call button at the “Bottom left corner of the dial pad” and that should place the video call for you. Let me know if that helps. Thanks for your reply, unfortunately that doesn’t help because I don’t have the video call icon/button…..
That’s really strange, this leads me to think that your carrier has modified the ROM on your phone, they may have disabled or removed that feature. 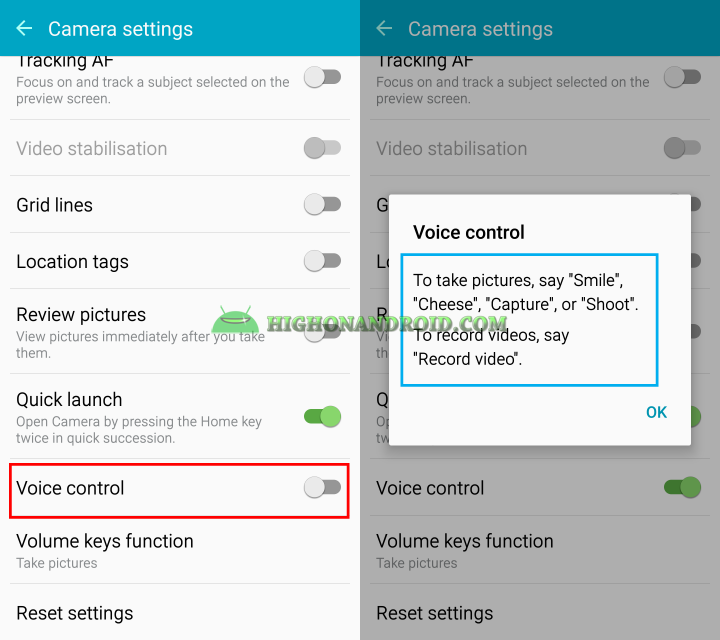 Because by default all Samsung phones contain the Video Call feature as it’s a pretty basic feature to have on any today phones. I’m looking to change the color of certain people’s text bubbles. I found how to change the bubble just not the color. My friend who has the 6 does it but my edge I can’t find it. and from there you got FIVE contacts to add with FIVE DIFFERENT COLORS (Blue, Green, Light Orange, Dark Orange and Purple). Let me know if that works for you! The text bubbles themselves have been reversed from previous Galaxy models very off putting is there any way to change them back? Navigate to Setting > Application Manager > ALL > Google Playstore. a new screen will show up, tap on “CLEAR DATA” and then choose YES. Reboot your phone and open Play Store app. Let me know if that solves your issue. 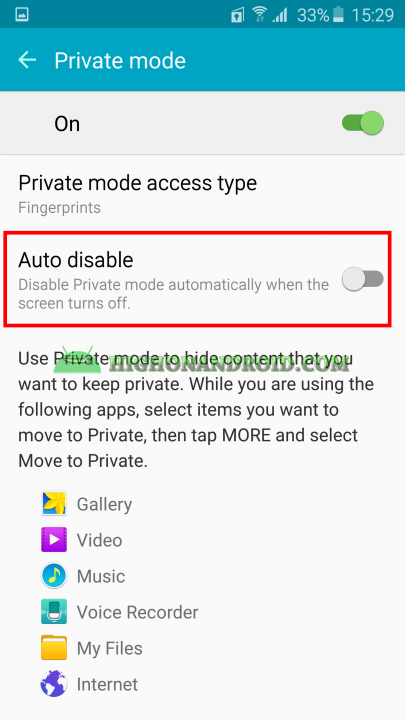 Hi there, i got an s6 edge and trying to put a am album in the private mode, i was able to understnd how ts done but got a slight problem, unfortunately the pin i had put t aftr the set up,does not want to be accepted, not sure y it does that. I dont knw if i am putting in the rong pin or t jst ds not want 2 accpt it. Is there anyway i can try and reset my private mode pin without putting in my old password ? 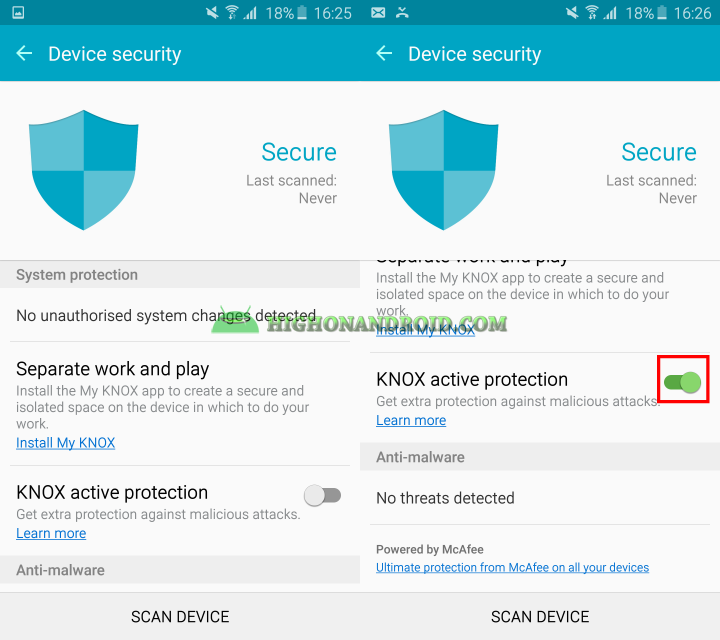 1. you either installed an app that may be able to modify the phone’s kernel (which’s why KNOX tries to PREVENT it from doing that). 2. of you modified some system files. 1. 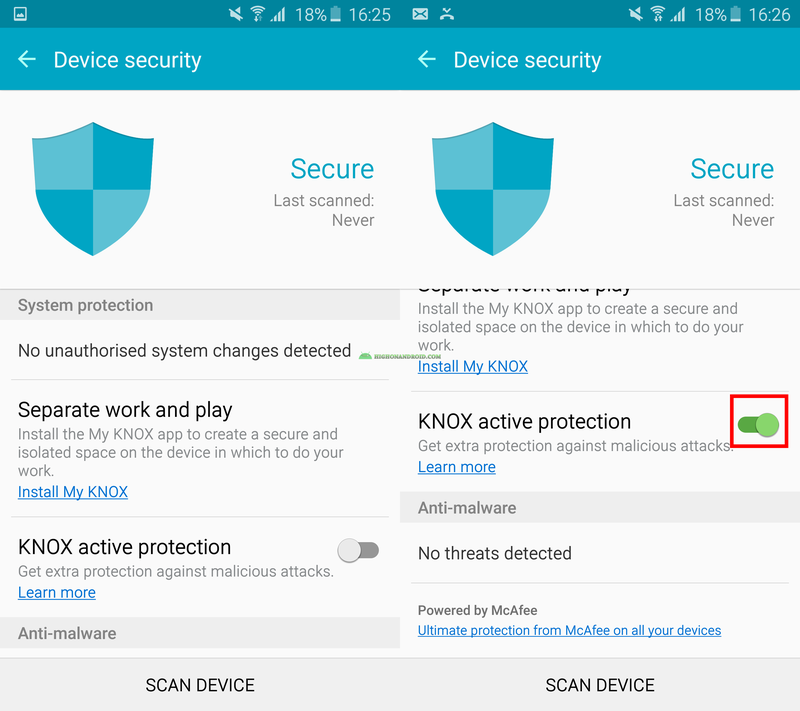 Navigate to “Settings > Application Manager > All > and DISABLE every single app that contains “KNOX NAME”, open them one by one and then choose “DISABLE” + “CLEAR DATA”. After that Reboot your phone and make sure whether the problem still exists or not? 2. 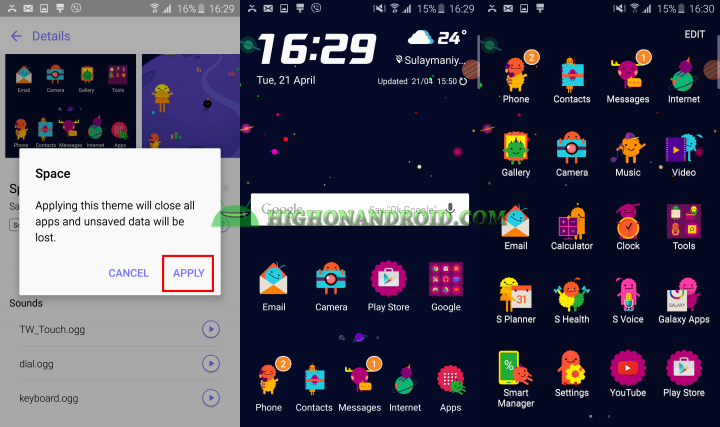 Root your phone using SuperSU, and REMOVE the app manually, this one is kind of advanced, and requires some work from your side. anyways, I hope the first one works for you. Let me know how it goes! Hello Sir. 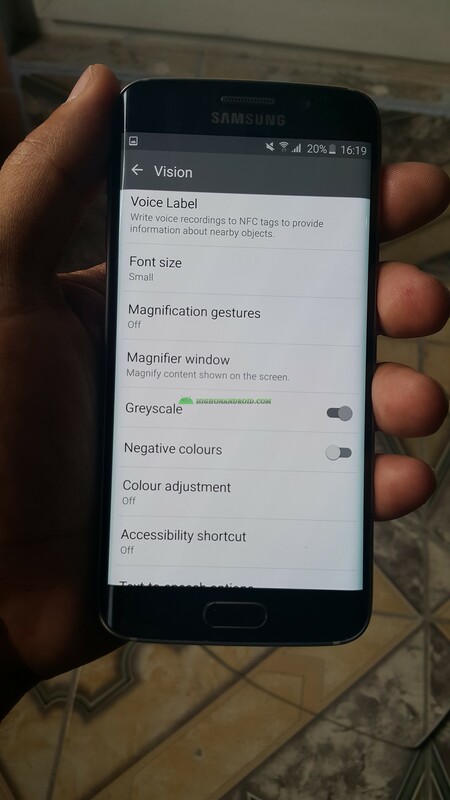 I’m facing a problem with my s6 edge. It is that I’m not able to customize water effect option. It has just turned grey. It happened after I changed my security to fingerprint or some else. But when I turned it back to swipe, after that it is unable to use. Please help ! Regards…..
That’s really easy. Tap on “Home Button” then tap and HOLD the Recent apps button (Left button), and choose “Widgets”. and Search for the “Kids Mode” icon, which is a Crocodile one. hope that helps. let me know if it works! I seem to remember that I could swipe across from the bottom right hand corner of my S6 and a corner page would open showing recently used apps etc. This seems to have disappeared with the last upgrade. Can anyone confirm? I don’t remember having that feature on this phone, can you tell me the feature Name? as far as I can tell, the only button to show recent apps screen is the “Left Button” which is beside the “Physical Home Button”. His happened to me yesterday and now it won’t work today I really want to know how it happened . Please help I’m going to go crazy and I called my phone carrier and the weren’t of any help. Hi Austin, what happened to your phone? It is a Clean Master feature. 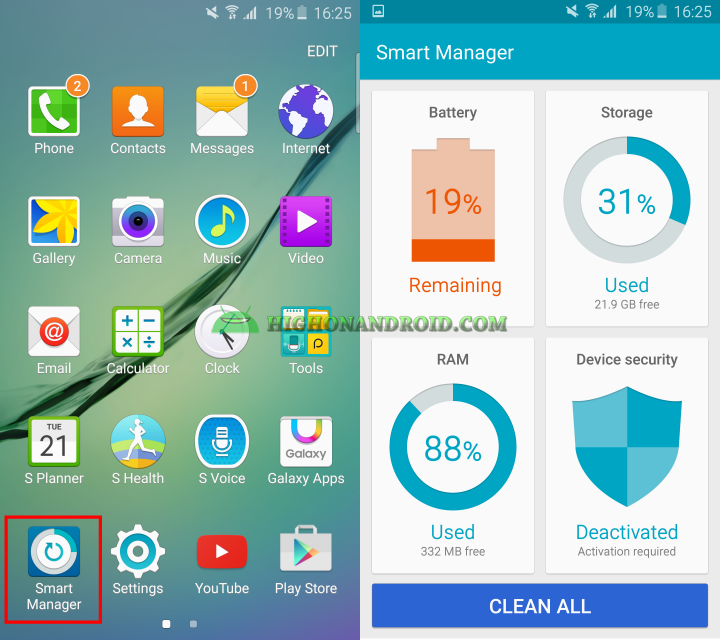 Go to play store and download Clean Master…. Looks like a broom. It allows the corner swipe you are looking for. I am trying to turn that function back on in my galaxy light. It’s like a quick access to apps and recently used etc. It looks like pages of a book turned up like dog-eared. I need help getting it back myself. 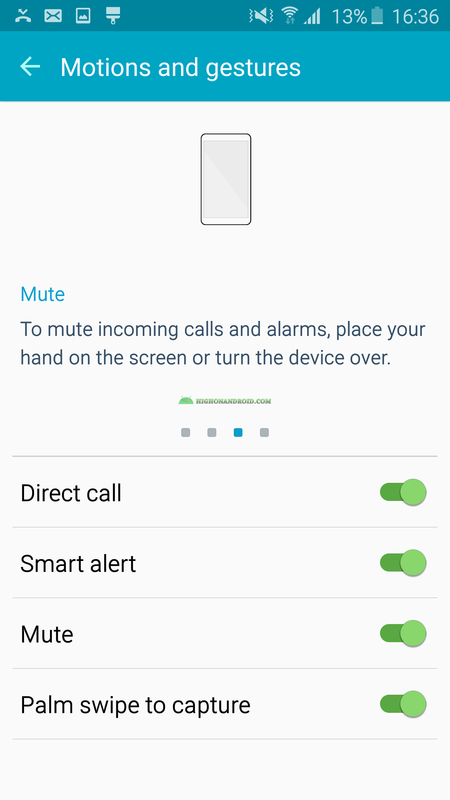 How can I change the number of rings before voice mail picks up on the Galaxy S6. I miss most calls because it only rings 3 times. Many Thanks for sharing our articles. We’re proud of users like you! How to change the wibgets in slidedown menu. ? And how can i show my name on lock screen ? Hi, does that problem occur with the “internet” app of the phone or with “Chrome”? if that does not solve your issue I suggest using Chrome browser and disabling this one. I’m not sure if you can help me or not honestly, but here goes. Whenever you open something and it gives you multiple options of how to use that,(for example, someone texts you a link and it asks if you want to open that with Google Chrome or your Web Browser) and it gives you the option to do it just once or always, if you accidentally click always, how do you fix it? I accidentally did this for a setting that I didn’t want to always open with a specific location and now I can’t figure out how to fix it. Hi Harleah, that’s pretty easy, Navigate to Settings > Default Applications, and there you’ll see list of apps that will open certain things and that are set as the “Default”app for that task, to get rid of your problem, tap on “CLEAR” button in front of the app that you want to remove from the default one. Let me know how it goes with you. Hi! When I’m listening to a voice message on what’s app, and I get a new notification from a new message from another contact( for example) it plays the notification sound and doesn’t allow me to listen to the voice message.. How can I change it? also how do I get rid of TouchWiz. What does this do. 1. try to input the pattern “which is a WRONG one since you fogot it” for 7 times. 2. after that, it shows a writing informing you to wait 30 seconds to retry. 3. while that appears look at the top right corner and you’ll see a little keyboard that’s where you can add your BACKUP PIN. 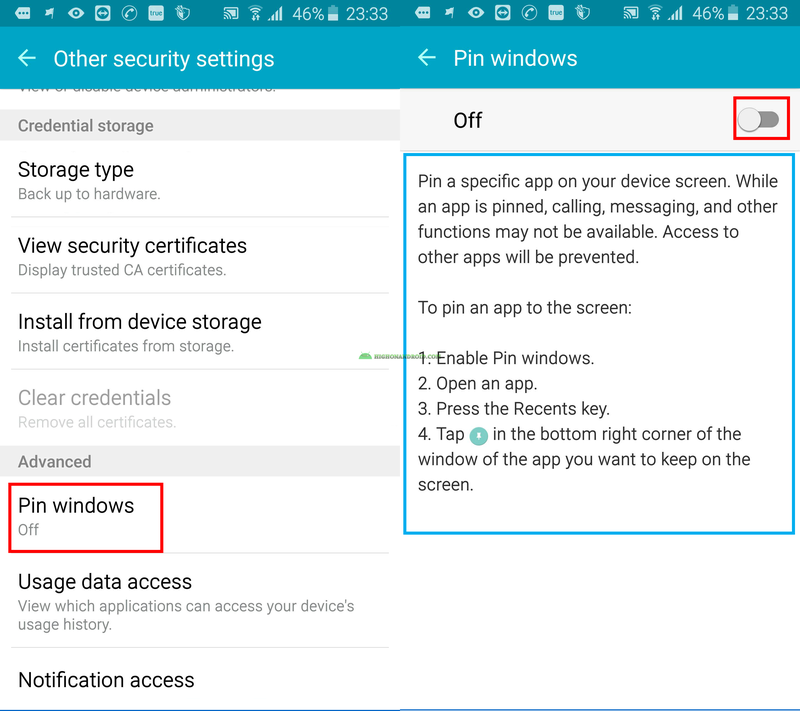 5. you should know the BACKUP PIN, enter it and you’re GOOD TO GO and can enable Private Mode again. Let me know if it works out for you! S6 edge. I cannot find a way to change my navigation button settings, i want my left navigation button to show options but it shows recent apps list. Please help. That’s really simple, all you have to do is to “tap and HOLD” on the left button and it will works as a MENU button just like it was on Galaxy S4 and other previous phones from Samsung. Hey my buddy has the new note and with his smart stay there is an eye icon that pops up in notification bar. Why won’t my s6 do that? Does it not have that icon bc I know I have the feature. It’s making me think it’s not working bc I dnt see the darn icon lol. ‌Hey Jesse, no, it WORKS on the S6 and no need to worry about it, easiest way to tell is that if screen turns off while you’re looking at it that means it’s not working, otherwise it WORKS perfectly. test it out. On the samsung 6 edge. Can u be on the phone and use he Internet to search or be on facebook? My other Samsung s4 I could? yes it’s called multitasking. open internet and facebook, then tap on the left button (Recent apps button), in front of facebook tab there is a two-rectangular icon, tap on it, the app will be opened and take half of the screen, tap on the recent apps button again, this time choose “internet” app to surf the web. When i open my camera ( 6 edge) it does not display anything apart from Auto and Panorama. I can reverse to selfie mode or wide selfie but that is all. It doesn’t have anything that it should have. Is this a factory default ? Also, i wanted to know how to action the timer on a selfie? I don’t have that option either. tap on “Camera” button there and choose CLEAR DATA, then choose OK.
after that reboot your device and it should show all available modes. I am a huge picture taker/shower…it appears in Gallery I can’t rotate the photos automatically without pressing “rotate” on the screen every time? 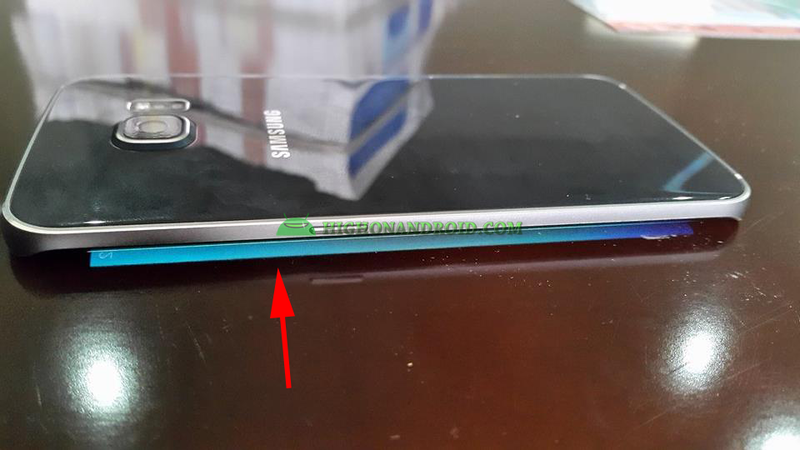 S4 was able to do it by sensing the phone turn side to side? Hey Natalia, thanks for the kind words and for sharing the article. 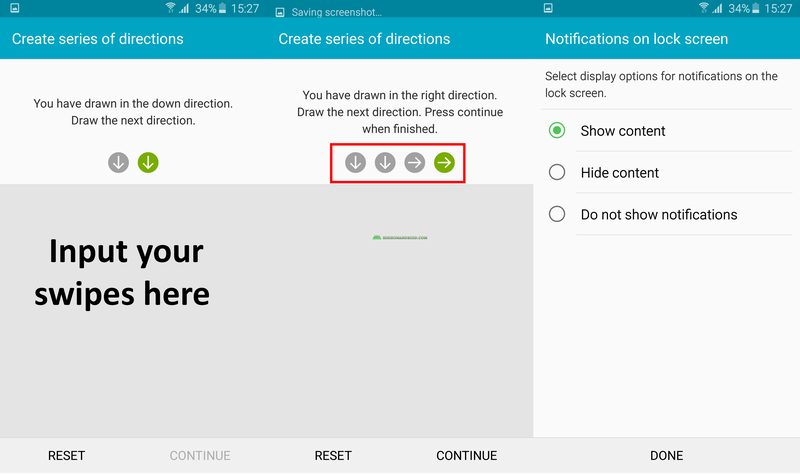 that’s really odd, Auto Rotation is the very basic thing in any Android device, make sure to Enable it inside Notification bar and make sure that it’s highlighted in GREEN color which means that it’s enabled. I really have no idea if after doing this step it still doesn’t work!. for the status bar, it’s basically the same as on S4, for both Gallery and Photos app, when you tap once on the picture to HIDE the editing options, it will automatically HIDE the status bar. hope that solves your issue. pretty simple, that’s used for taking Selfies WITHOUT the need of tapping on any buttons! For some reason my finger swipe for texting and spell check stopped working. How do I fix this? Fix it inside Keyboard Settings inside Settings > Language & Keyboard, look for “Continuous input”. My edge 6 + is not recognizing my contacts. For example I will wake up the S voice and say “text mom” and the response I get is “mom is not in your contact list” (when of course she is). great guide to getting started with an s6 edge+. i did have an s4. it had a feature that allowed you to wave your hand over the top of the phone and you could see if you had message, missed calls, the time, etc. i think it was called “quick glance” or something. 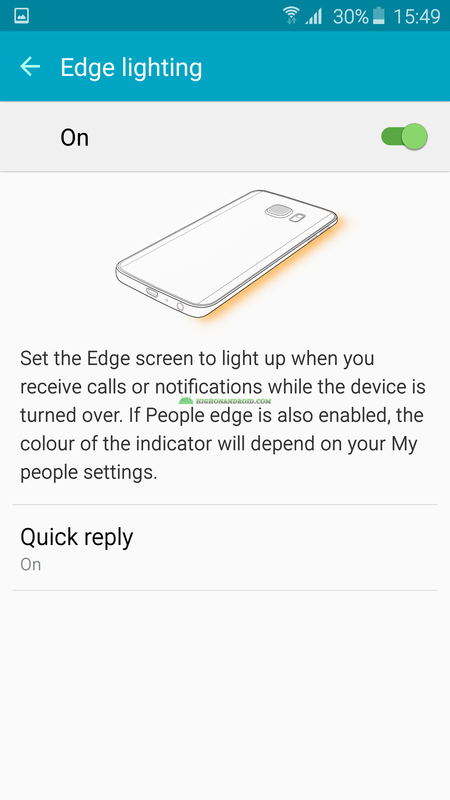 does the s6 edge+ have this feature? i used it so much and miss it!! 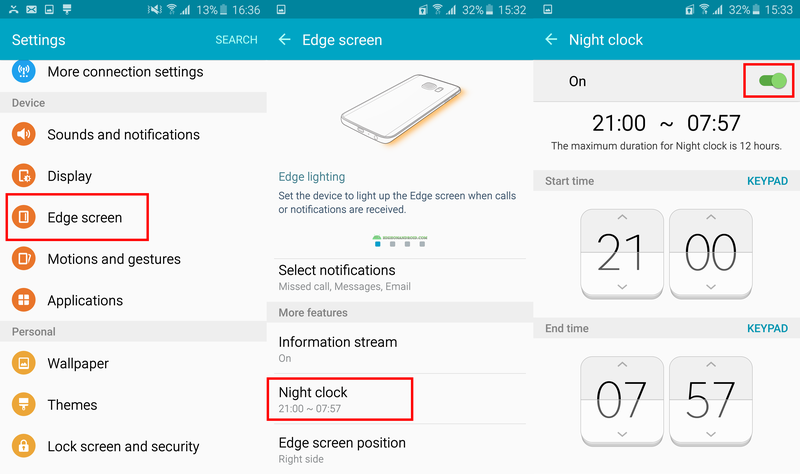 Hi Angie, you’re right I really loved that feature and yes it was named “Quick Glance” at which you wave your hand over the proximity sensor and it shows missed calls, messages and clock, for the S6 edge plus there is a way you can show clock which is called “Night Clock”, but I don’t think there is a way to show it like it was on the S4. Is there any way I can keep an app ony active apps permanently? how do you want that app to be active? Hi. I have a Samsung S6. When I got the fone a few months ago, it used to unlock by simply swiping across the screen. I was going through my fone and discovered that I could lock my fone by allowing a password. My fone now unlocks by me entering a password. I find this feature irritating as I hav to keep entering my password all the time. How do I disable password and unlock my fone by swiping across the screen again? Hi, simple, navigate to Settings > Lock Screen > Screen Security > Input your CURRENT password that you use to unlock your phone, then choose “SWIPE” option. and now you can swipe to unlock without the need to input password. i need help .i bought a Samsung Galaxy S6 at a flea market,got home and it has a Samsung Account on it. Is there a way to get my phone usable or did i throw my money away? what’s the problem with a Samsung account being on your phone? can’t you use your phone normally? The only issue I am having trouble with finding is the unlocking effect, nowhere in my lock screen and security options does it give me the unlock effect option. try to search for it in the notification bar using “S Finder” or navigate to Settings and use the “Settings Search” tool. type in “Unlock” or “unlock effect”. Everything I unlock my phone it will show the weather, like clouds will roll across, rays of light, rain drops, stars at night. Is there a way to turn that off? I’ve looked everywhere in my settings turned all the weather stuff off and it’s still doing. I lost Screen unlock effect after updating my phone. What is the reason behind this and why Samsung stopped this screen motion effect? I don’t think that Samsung has removed that feature. search for “Unlock effect” inside Settings’ search. I am sure it’s still there. Hi. My s6 edge plus doesnt seem to capture clear pictures while object is in motion.The pics appear blurry..I switched on Tracking AF option also..but no change..could you plz help..
2. Tap on MODE button. 3. Then tap on “Download” button. 5. there are few shots that you can download. 6. the one you need is called “SPORTS SHOT” this will will capture great photos when the object is moving. 7. Download it and it should then be added to your MODE list inside camera app. Let me know how it goes, remember that your phone takes BEST PHOTOS in the Mobile Industry! Is there a way to lock the icon apps on the home screen (s)? Mine often will disappear. Everything I’ve read states that this shoildnt happen but it happens all the time. I have the Galaxy 6. Thx! to put an icon on the home screen(s), you basically need to tap and hold on the app icon and drag it to the home screen and it SHOULDN’T disappear unless you or (Someone) do it intentionally, that’s a pretty basic thing to do and I really really wonder why it disappears from your phone’s home screen! How can I text a picture to someone and include a text with the picture. Now it seems like I have to send the pic first and then follow it up with a message. Can I also send more pictures than one? When I clicked multiple pics it still sent them one by one. P.s great article. There is no photo studio on the gallery and nothing on the galaxy app programme either. There is no photo studio on the gallery and neither is it on the galaxy app programme. that’s a really basic feature and IS Definitely there. make sure to do the same steps mentioned in this article. I have the Samsung Galaxy S6 Edge and there is no photo studio in the gallery options to edit photos with. I have searched everywhere, have found nothing and no answers as to where it is. Just some people say they have it and some don’t. It is not in the Samsung Market to be downloaded. I also do not have the “animate” feature in the edit section and I have downloaded the animated gif mode, but it won’t share in messages or on social media as gif, just as a still photo. Can you provide any solutions to any of these problems? Think I am really starting to miss my S5! Thanks! That’s right, it’s hidden, you can use it by opening any photos you wanna edit, simply open the picture in gallery and then tap on “Edit” button, that will open list of options including one called “Photo Editor”, it’s there you just have to tap on the picture once to see the “Edit” option and then find the “photo studio” option, let me know if that helps! it should be the dual clock, navigate to Settings > Lock Screen > Show information > Dual Clock and change it or disable it to so that it only shows your default and the current clock. smart manager doesnt seem to exsist anymore… opinion..
can you help me?? all of a sudden on galaxy six when im texting and want to see word s to correct.. the drop down is hidden by my keyboard.. weird.. happened after last update.. appreciate any help!! How can i make it so that the answer button is on the right hands sode instead of the left?? I love my S6 edge. In the recent weeks, my notification panel no longer displays the icon indicating I’ve received a new text message. Once I open to the home page, the number of new messages is listed below on the message icon, but not in the notification panel. I have kids and a quick glance at the panel is far more helpful than going into the home screen; a practice I simply can’t get used to. Incoming messages make no audio or vibration. I don’t even know they are there. How do I fix this? Hello, thanks for this article and all the information provided. i got the S6 Edge few weeks ago and i can’t do some things with it. pls how can i continously play my videos without having to always go back to play eacch one after the other. 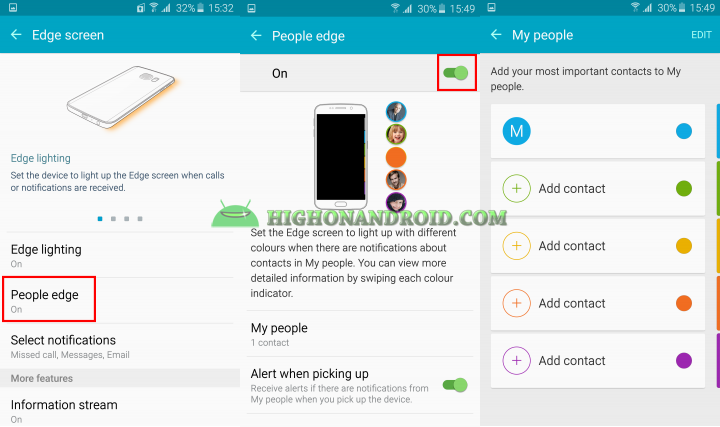 secondly i don’t see any option for setting up a display/profile pictures on my bbm and whatsapp. pls help. I upgraded from the S3 to the S6 and I love the phone. The only thing I find annoying is, when you wake up the phone it defaults to the phones dialing screen. I wish it would open up to my home screen like my old S3 would do. I see someone else was annoyed by the same thing. Is there any way to change it? 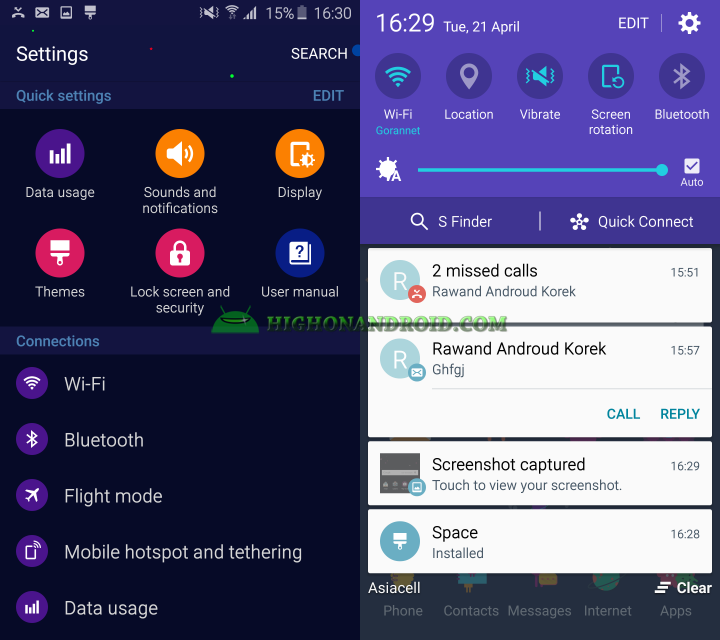 a lot of general features such as 1 touch screenshot button i could not get on my s6 edge , fingerprint always not recognised , no trimming function for setting ringtones . Are they made redundant ? on my Tmobile s6 edge +, how do I turn off amber alerts or all alerts? Please help, I’m about to go nuts. I bought a used s6 edge. On the edge screen I had the 5 people screen plus I had another screen available of quick settings. I broke the screen. I loved the phone so much that I purchased another. I just got it in the mail today. My edge screen only has the 5 people screen. I don’t have the option to swith to the other. It’s minor but driving me crazy knowing it’s not there. I also went thru all my settings ealier and remember checking a box that would erase all my cache immediately. Should I have done that ? I don’t want to mess anything up. Thanks so much for all your information !! 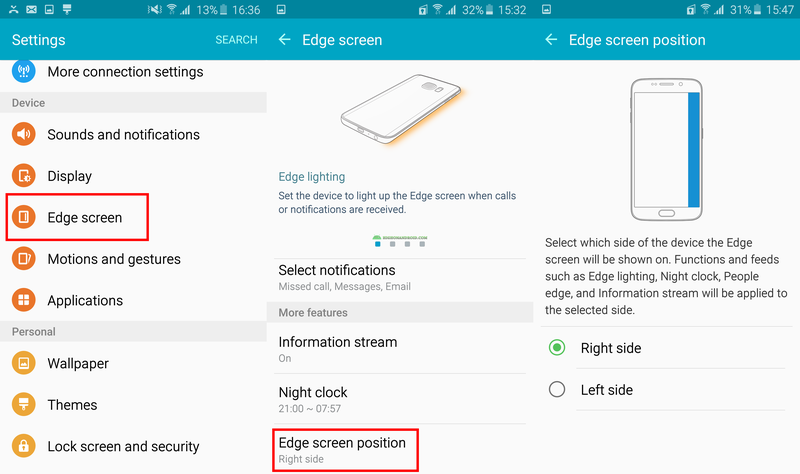 Hi Michelle, sorry to hear that, as far as I know there are only 2 screens on the edge screen which are “People Edge” and “Apps Edge”, the Apps Edge is in the second screen and it was added in the latest 5.1.1 update to the Galaxy S6 Edge. But I don’t know what do you mean by “Quick Settings” perhaps you may mean the gear button to customize the 5 contacts? if that’s it, then you can do the same inside Settings > Edge Screen > People Edge. Let me know about the result! Hi, just got a new edge and trying to save photos from email. I’ve seen online that you are supposed to press and hold and that a menu comes up but when I press and hold the photo nothing happens. help! Hi, i realised my S6 edge front camera (for selfie) only capture & save the picture in a “mirror” form (picture is flipped). I am looking to find out the answer to this as well. 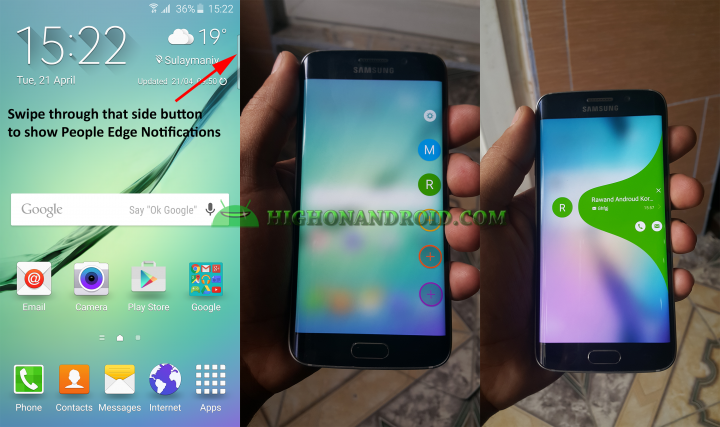 How do I set my front camera to auto flip the image on the s6 edge plus? Thank you so so very much!! Hi, how do I move forward in an app, like eBay, for example. I know how to move back to a page, but how do you move forward to another page. I would appreciate any help, thanks! Im sorry if this does not belong here. But i recently bought a Samsung Galaxy S5 Neo and it seems like there are bunch of things missing from the “lock screen and security” settings, my friend has so many things to put on the lock screen but I dont. I want to put the step counter on the lock screen but I cant since that feature is missing from the “lock screen an security” settings. I have searched everywhere and i cant find what to do, its driving me crazy, could you help me? 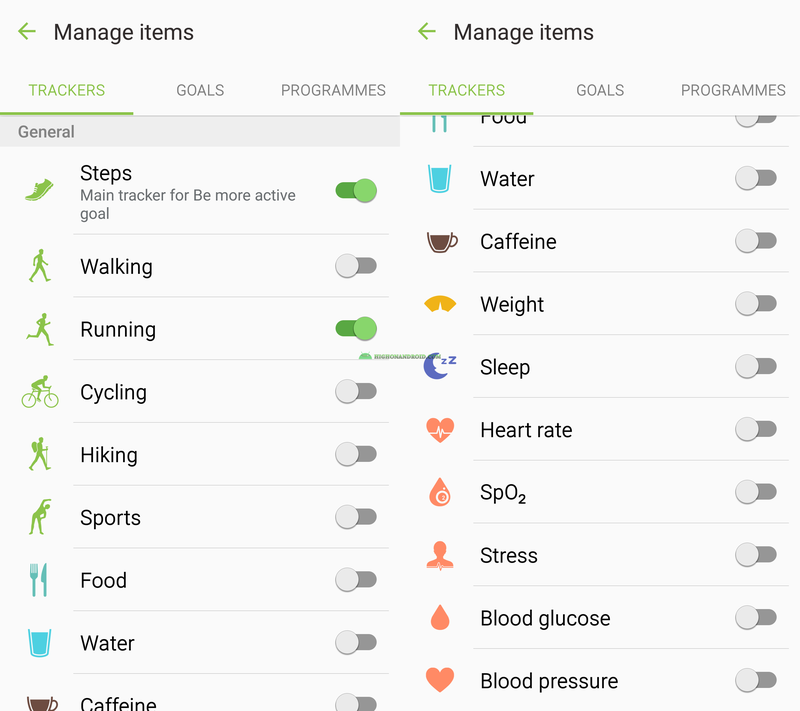 Hi Krista, this feature is enabled once you set up your S HEALTH app, I think that option to show step counts is right inside the S HEALTH app. give the app a try and let me know about the result! Rawand, is there a way I can print out all of these tips without having to go into each one, one at a time? I would really like to keep them handy for when I have more time to read them and try these tips out. Thanks for any help with this. Hi Rawand, Can you help please? 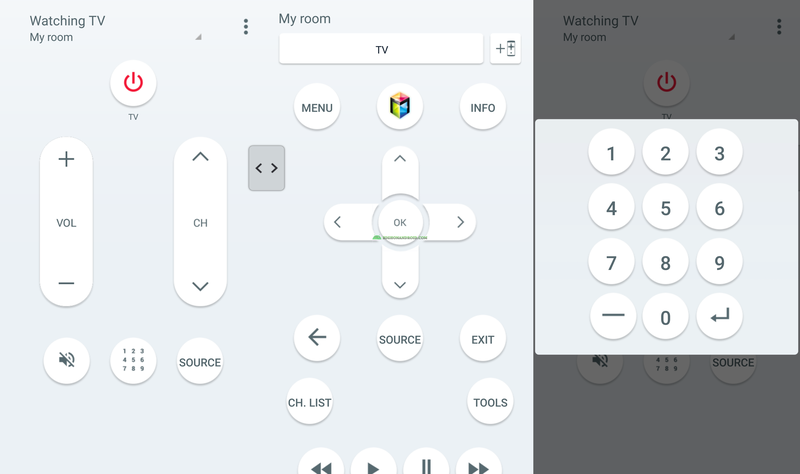 I am trying to connect my S6 Edge+ to LG smart TV .. it’s not working. How do i turn off the hover over feature it screws up my games when I’m playing? Hey guys just bought the Samsung 6 edge.. I’m going a bit nuts here I want to take the calling icon OFF of the lock screen.. is it possible??? 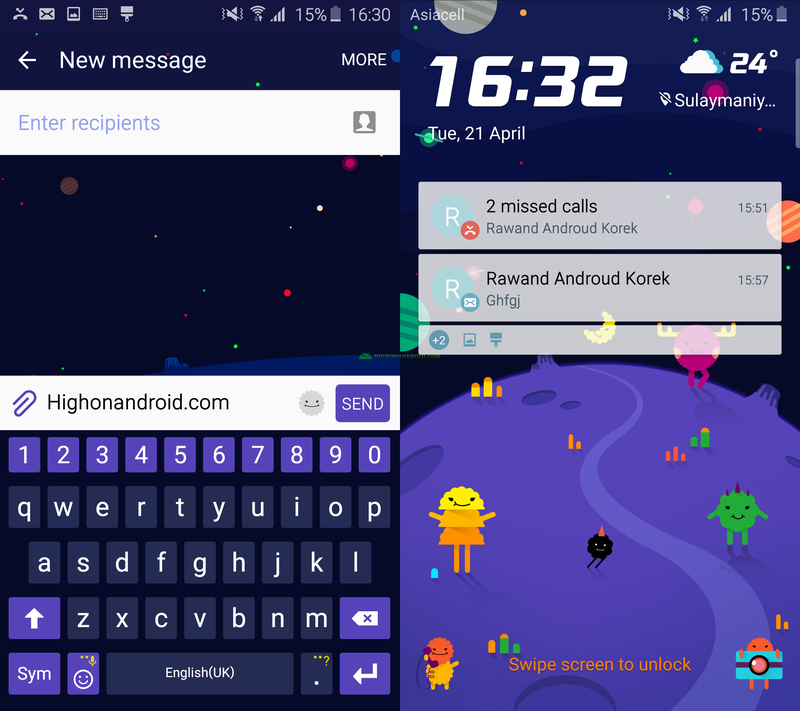 Is there any way to reply to text messages from the lock screen? Thanks in advance!! a transparrent symbol of a remotecontrol has appeared on my s6, … I can move it arround but when i click it, the phone goes slightly darker/grayer and all symbols are onclickable now.. incl. restartoption… how do i remove it? My S6 Egde + doesn’t have the Unlock Screen Effect for some reason. Can that be fixed? make sure you don’t have “PIN,Password,Fingerprint” set as your lock screen method, otherwise the lock screen effect won’t work! Gday mate! I use the calculator app on my s6 daily at work, is there a way to create a shortcut for the app like the one on the lockscreen for the camera? Cheers Matt. Gday mate is there a way to create a shortcut or anyway of getting into the calculator on my s6 from the lock screen? Cheers Matt. Hey! 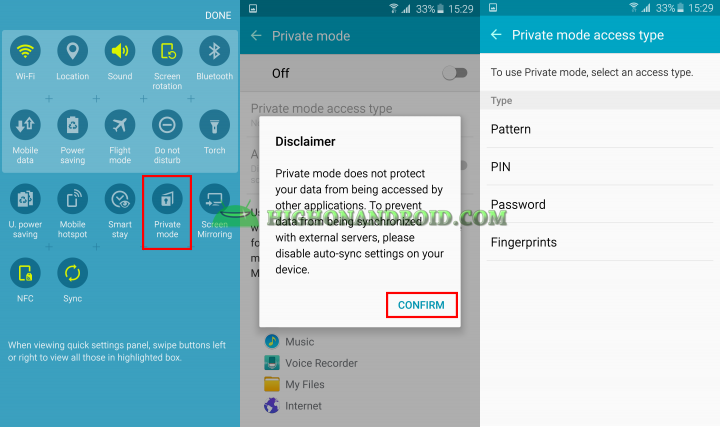 Kindly help me .. my private mode was set on finger print setting. I have used it several times by using the finger print method but i dont know how did it change to pattern and its not even accepting the pin code. Im so stuck help! Previous story [Guide] What Is Nandroid Backup And How It Works?